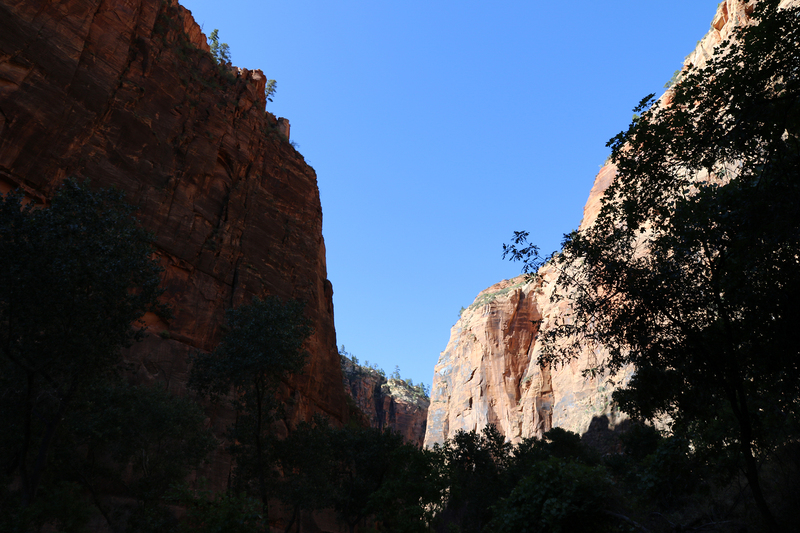 After lunch on September 14, we hopped back on the Zion National Park shuttle to explore points in Zion Canyon north of Zion Lodge, namely Weeping Rock and the Temple of Sinawava. 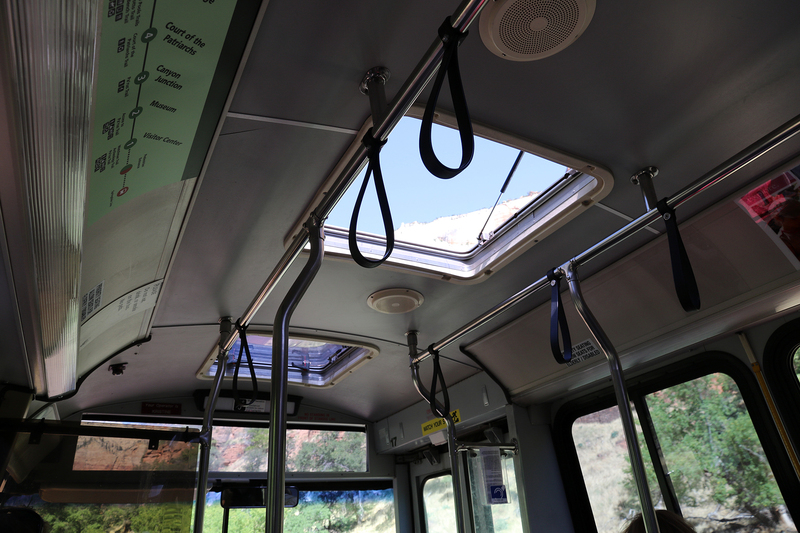 It was already 3pm by the time we boarded. 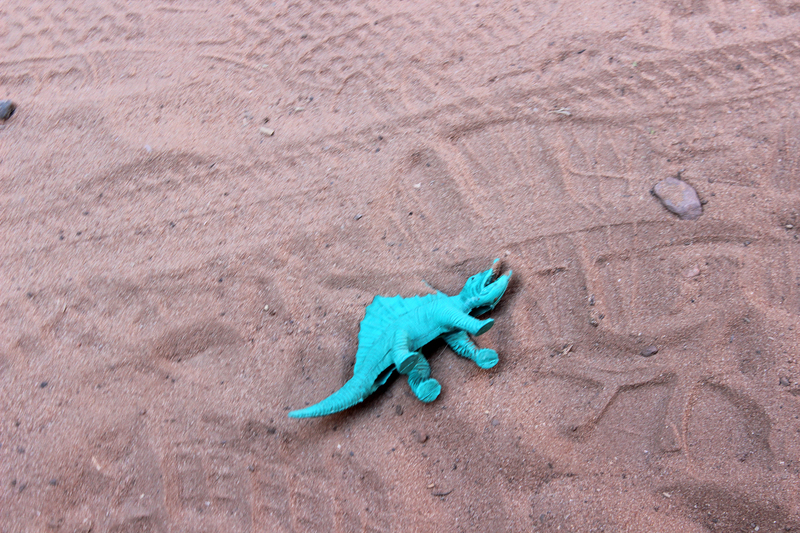 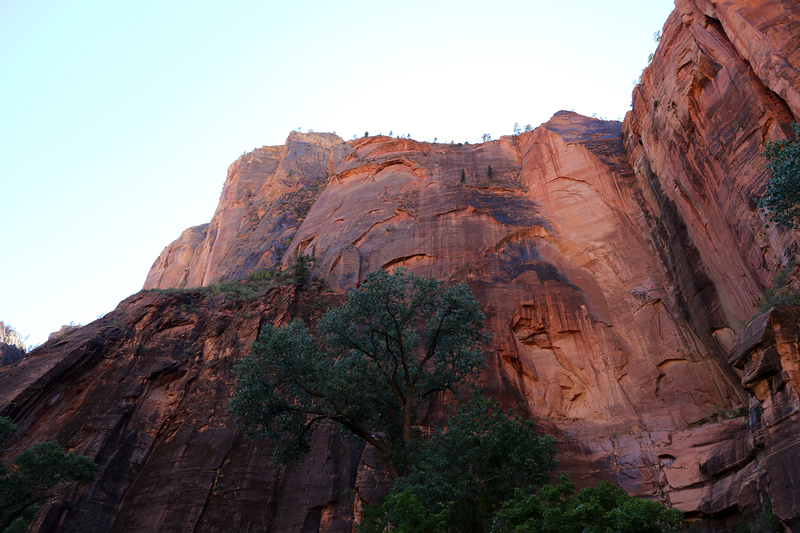 Our only full day in Zion was moving swiftly. 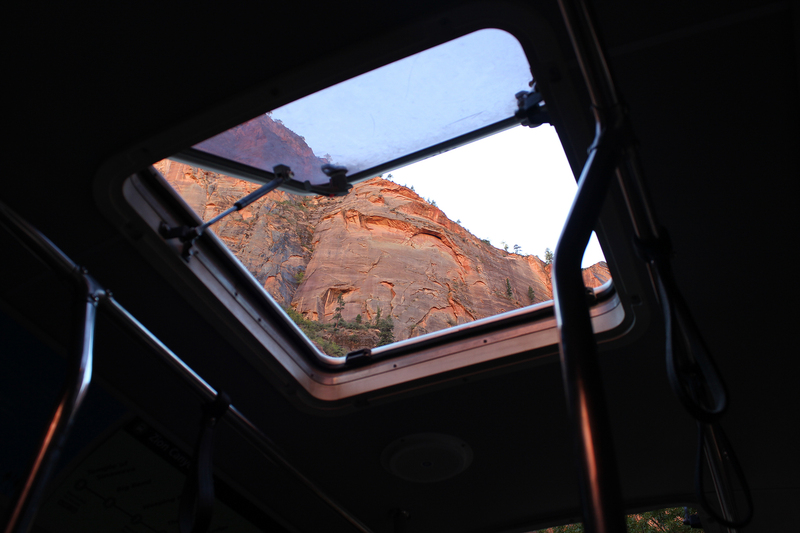 The shuttle didn’t have too many passengers as we passed the Grotto and approached Angels Landing. 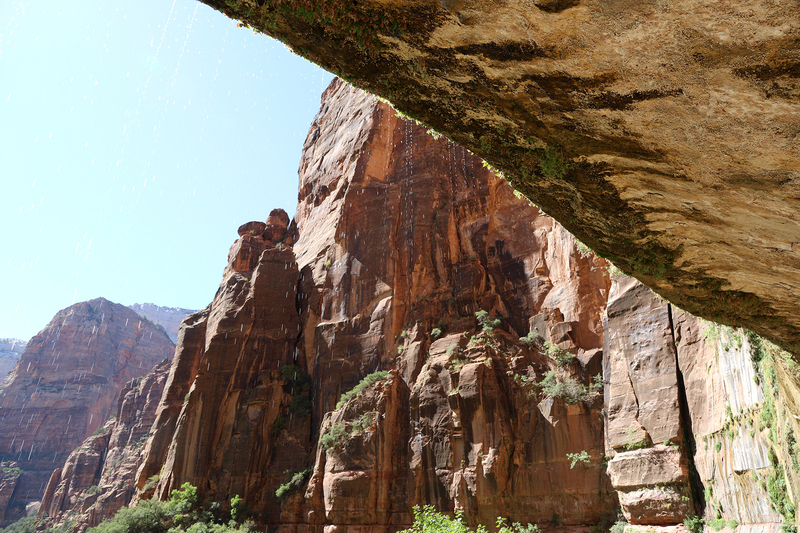 Two teenage boys sitting behind us were excitedly planning their afternoon adventures, doing the Narrows and then quickly hitting Angels Landing, etc. 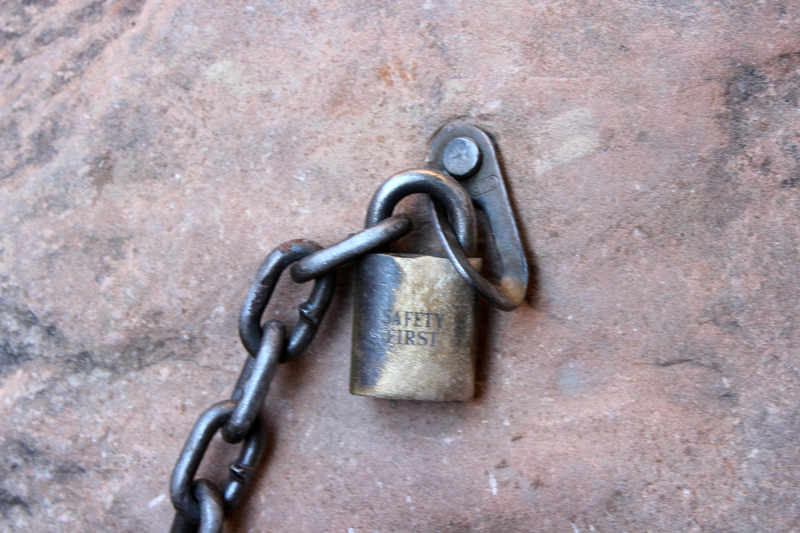 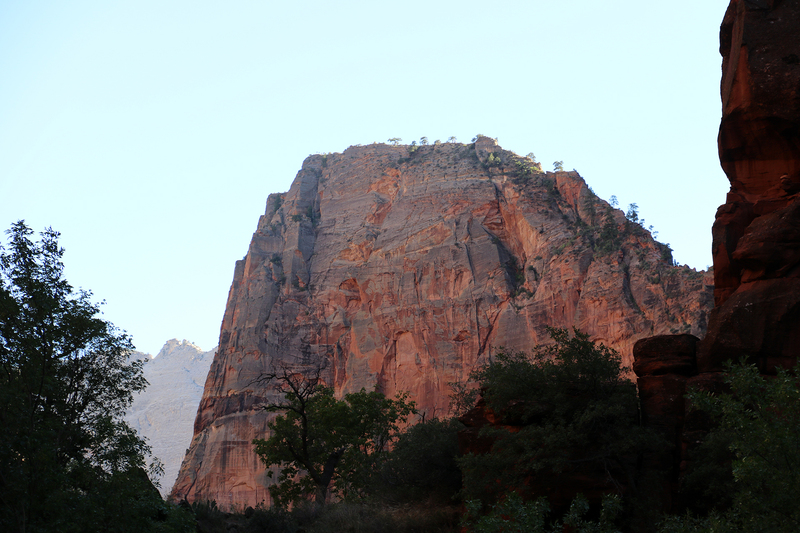 it made our decision to save Angels Landing for the morning feel all the more solid. 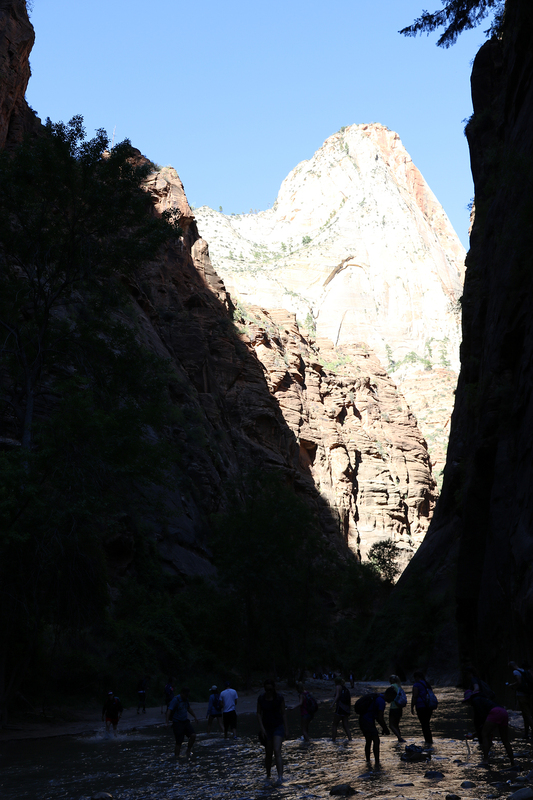 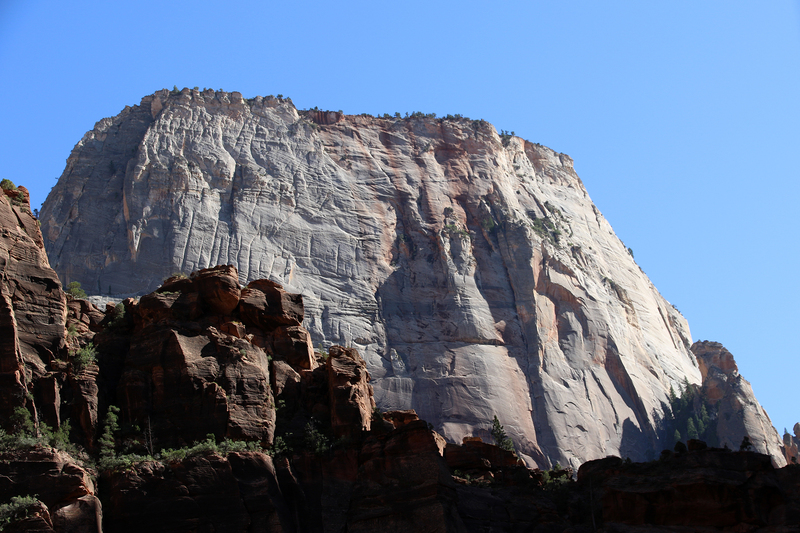 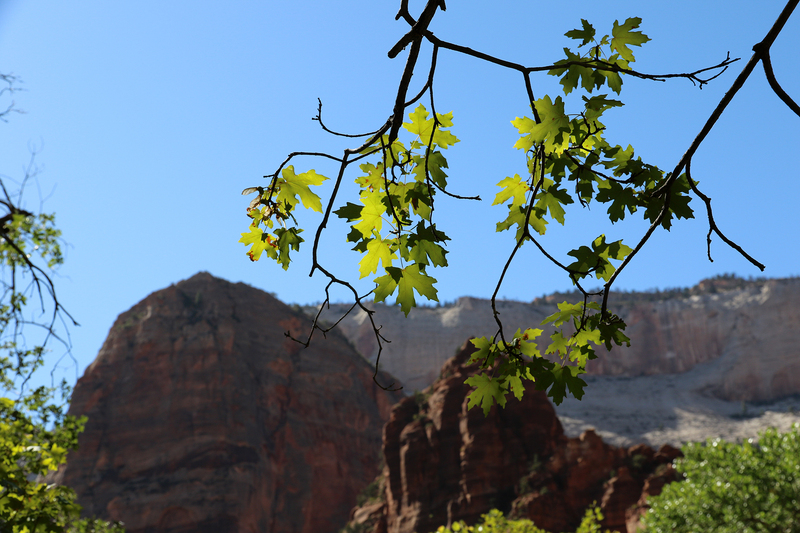 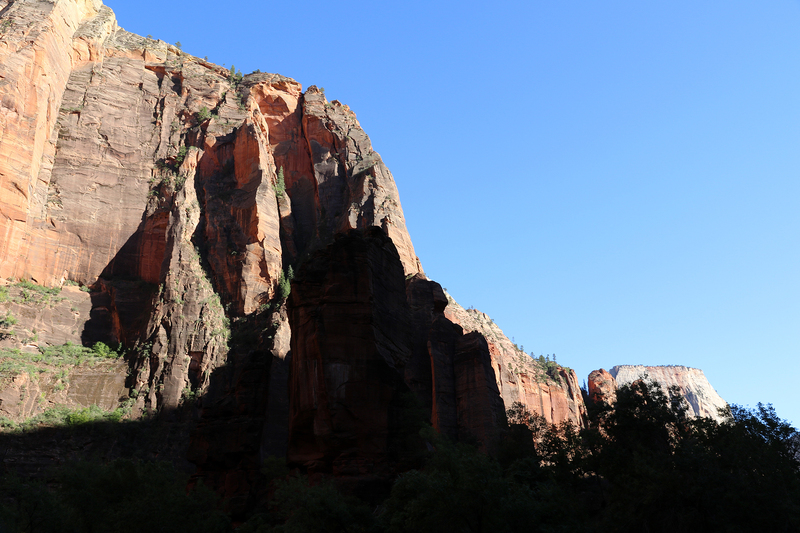 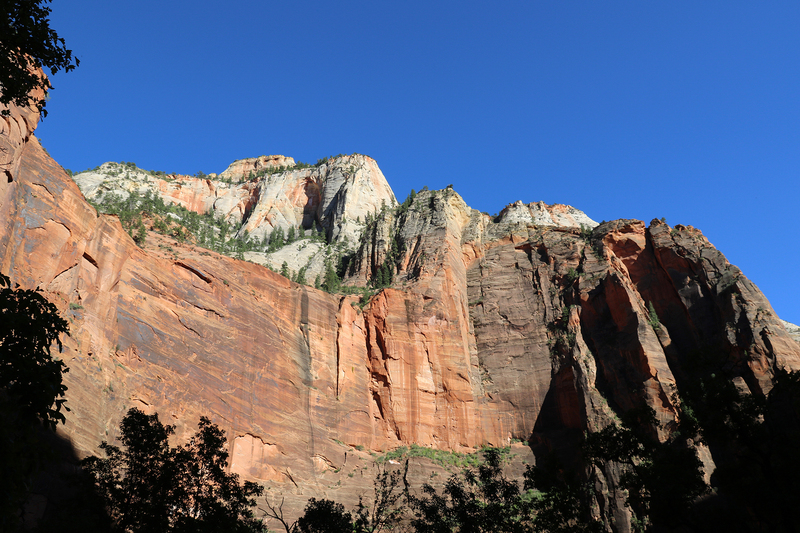 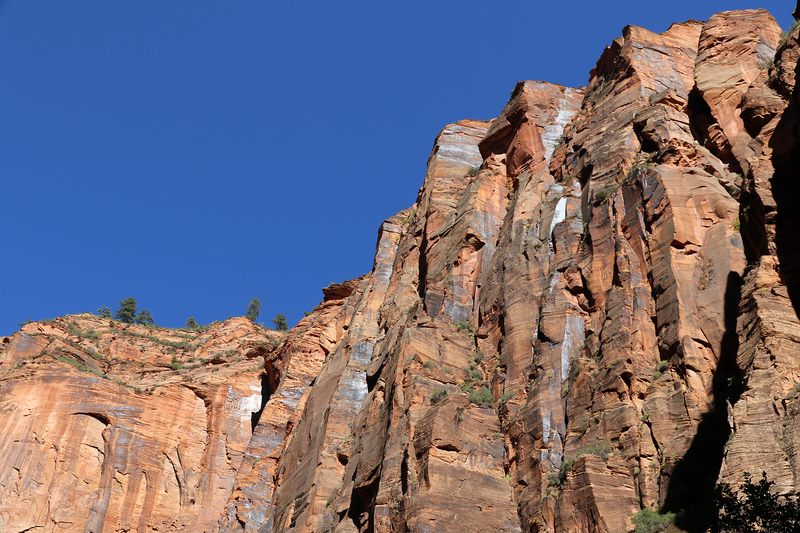 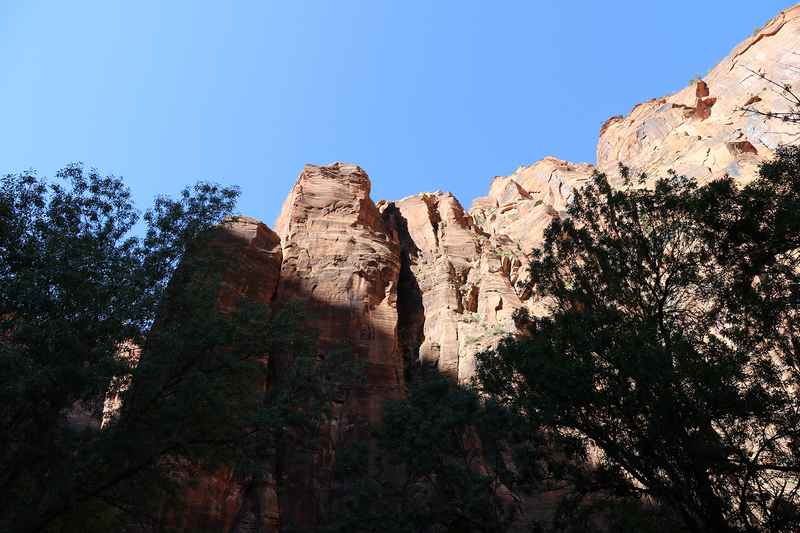 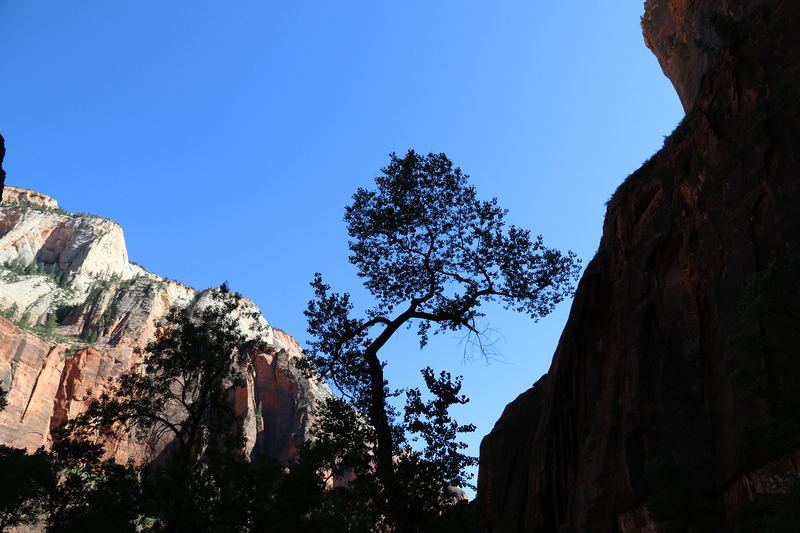 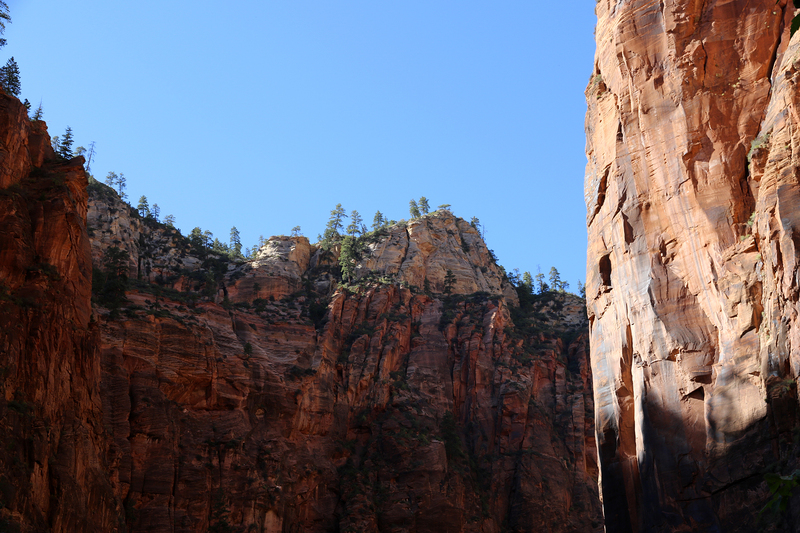 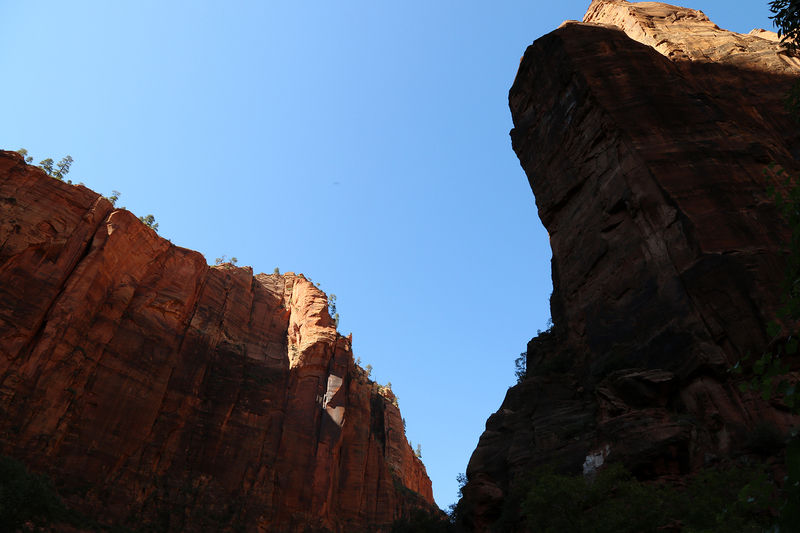 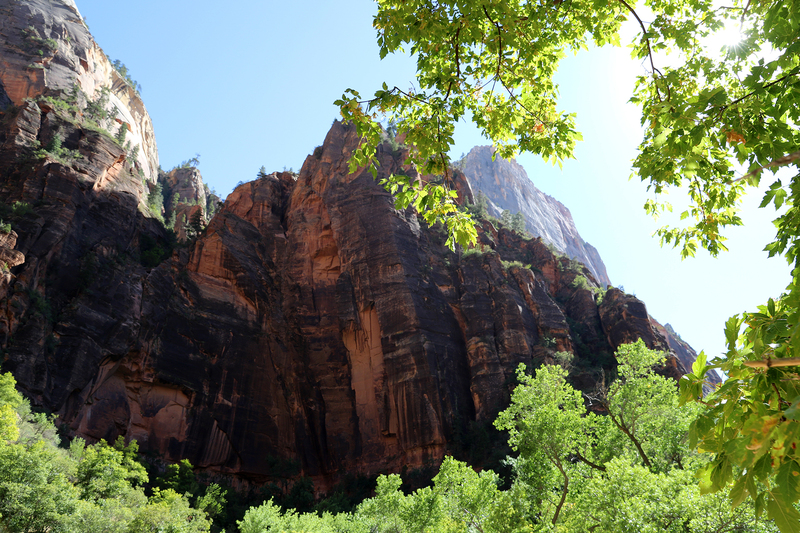 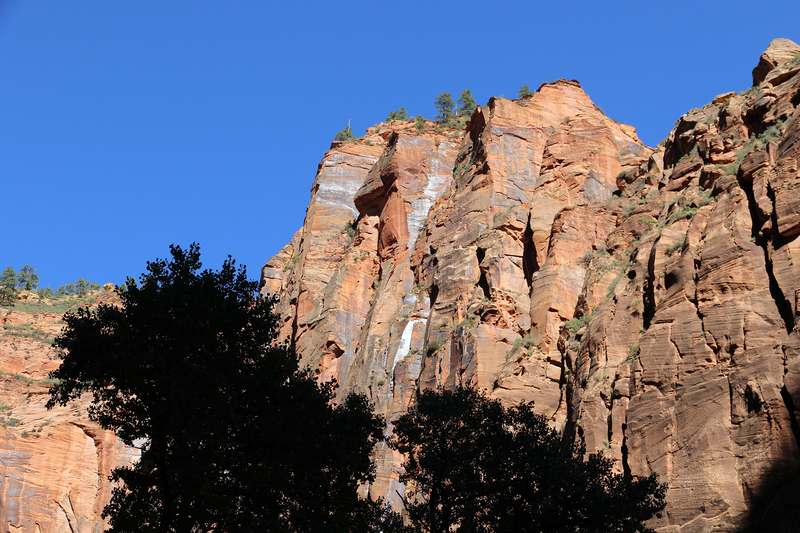 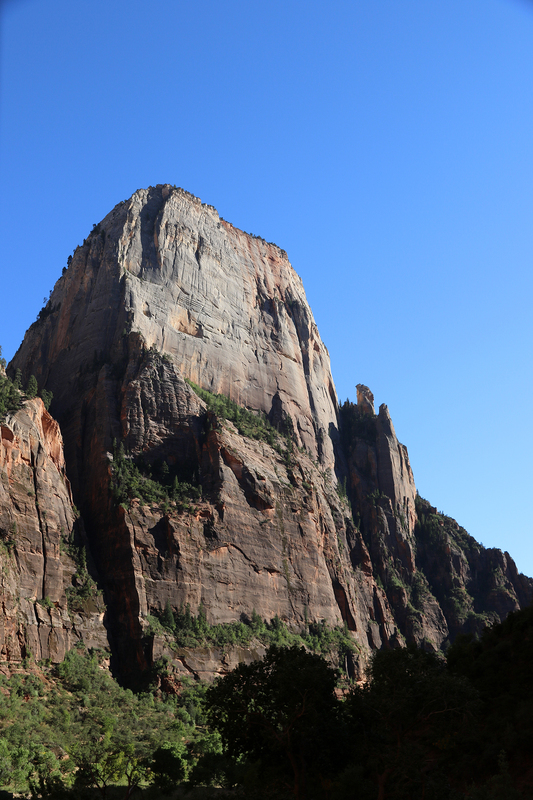 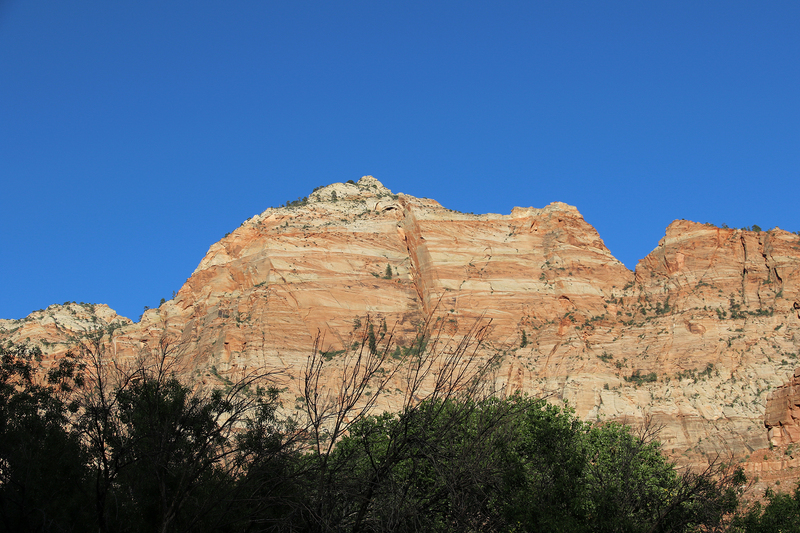 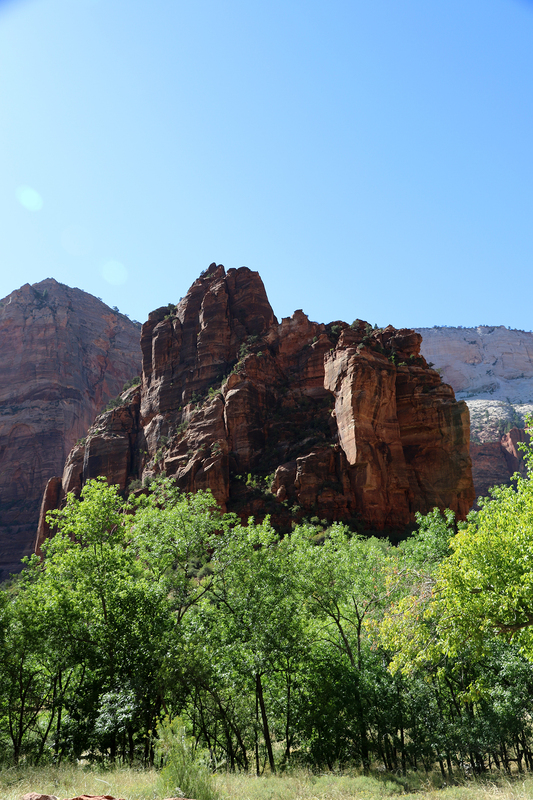 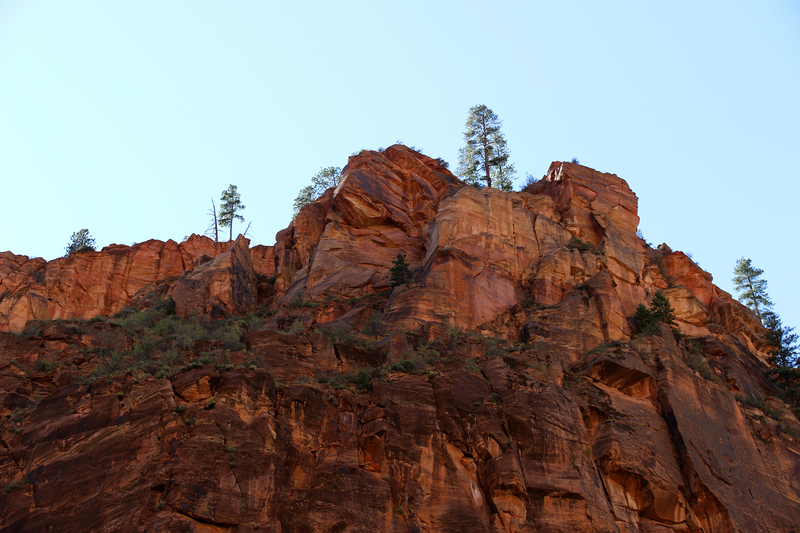 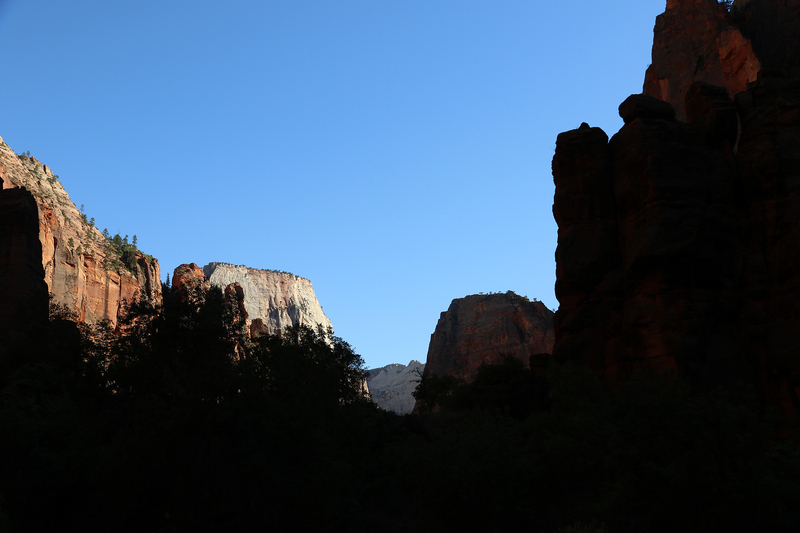 The last thing I wanted was to attempt Angels Landing with teenagers trying to race up it. 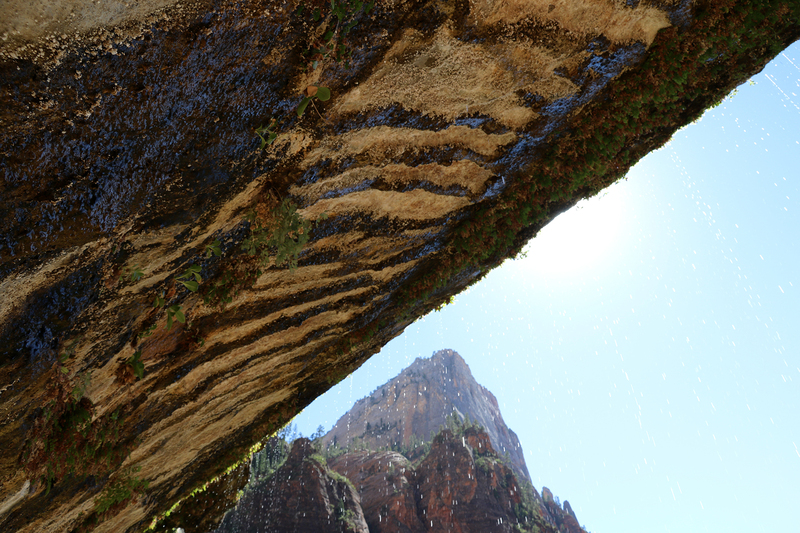 The trail ended below an overhang the water dripped off of. 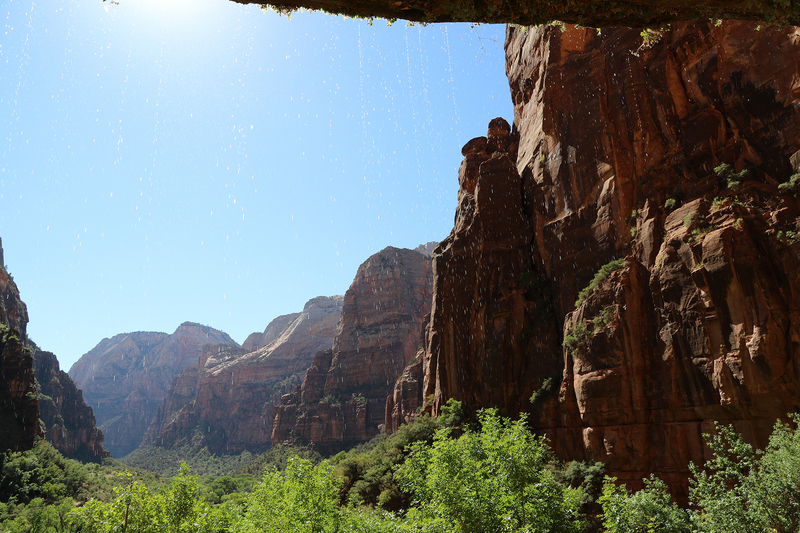 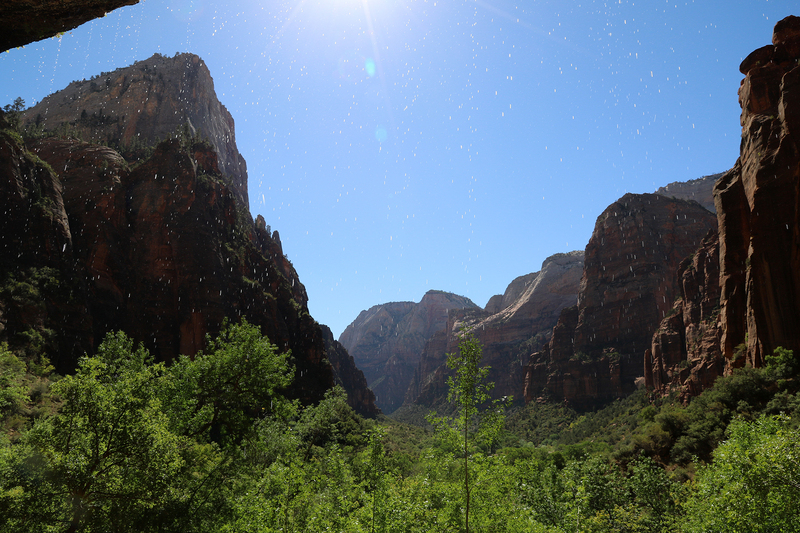 We and about two dozen other visitors stood underneath enjoying the sound of the dripping water and the views down Zion Canyon through the droplets. 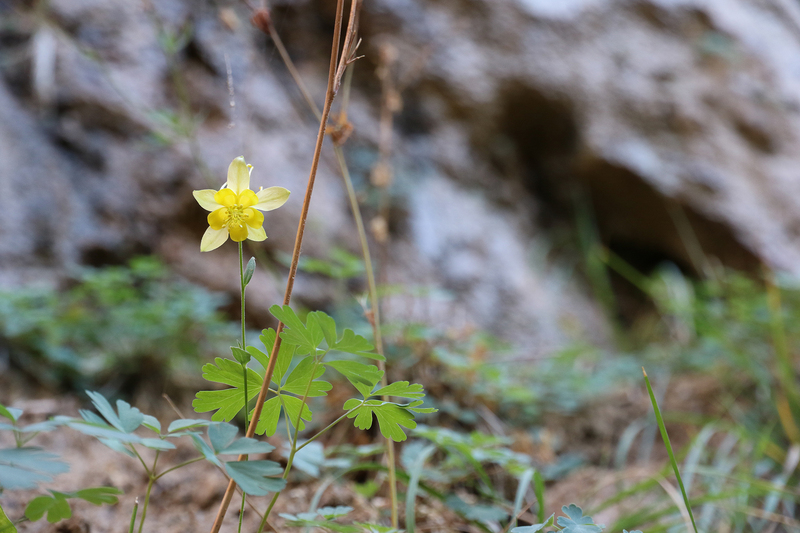 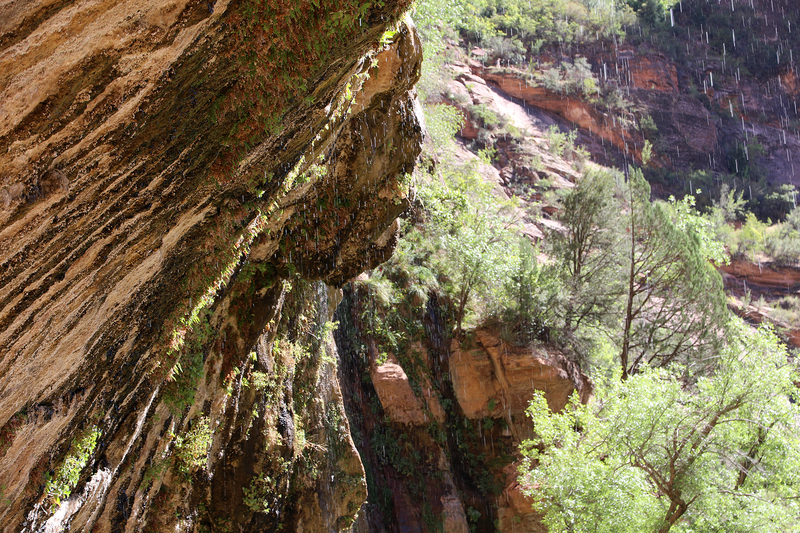 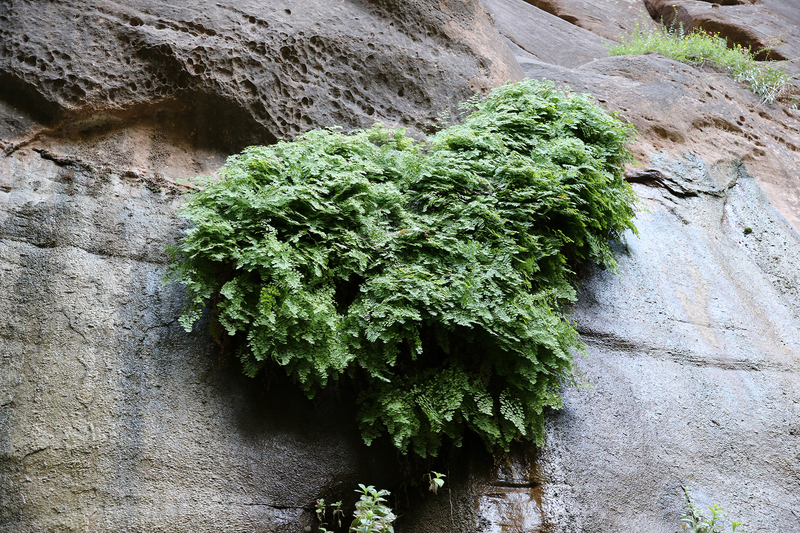 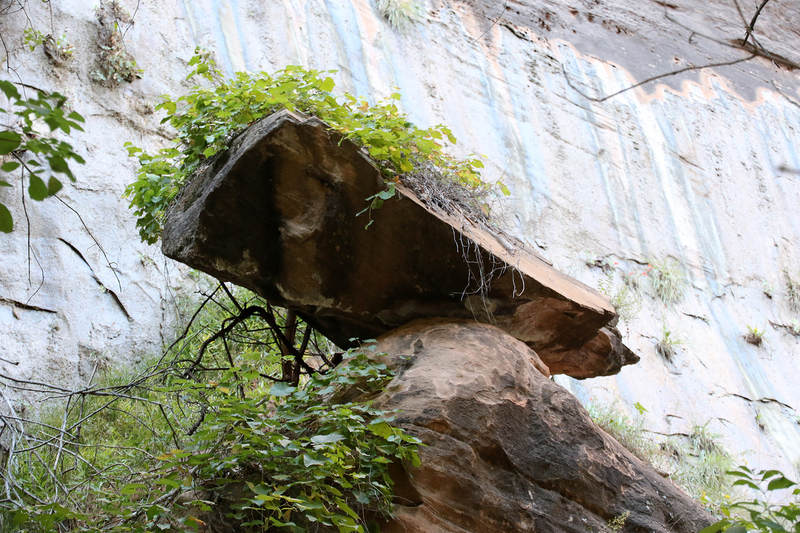 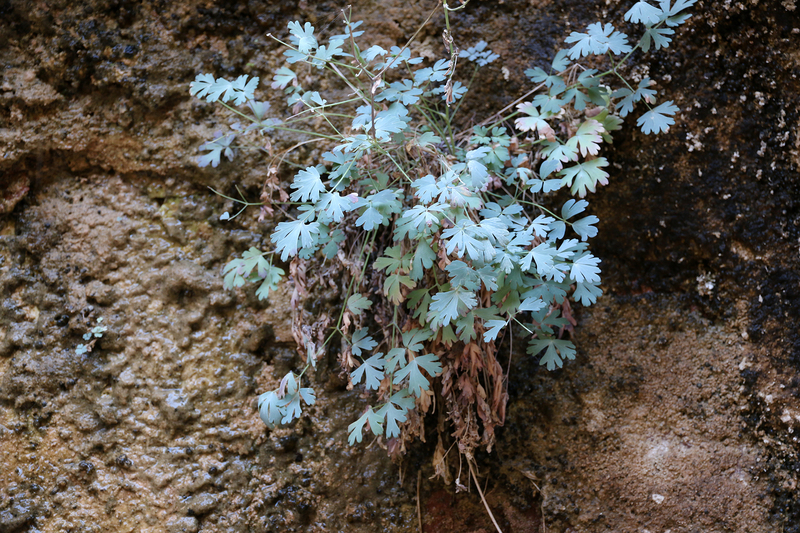 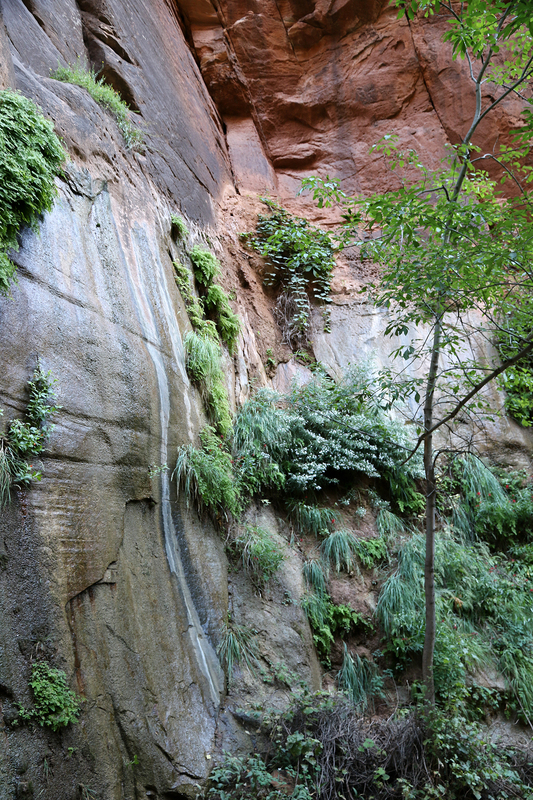 As at Emerald Pools, hanging gardens clung to the wet rock. 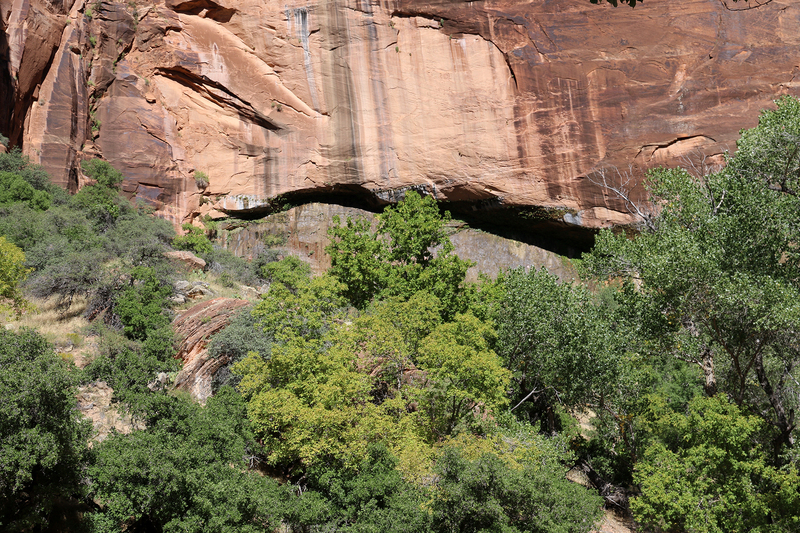 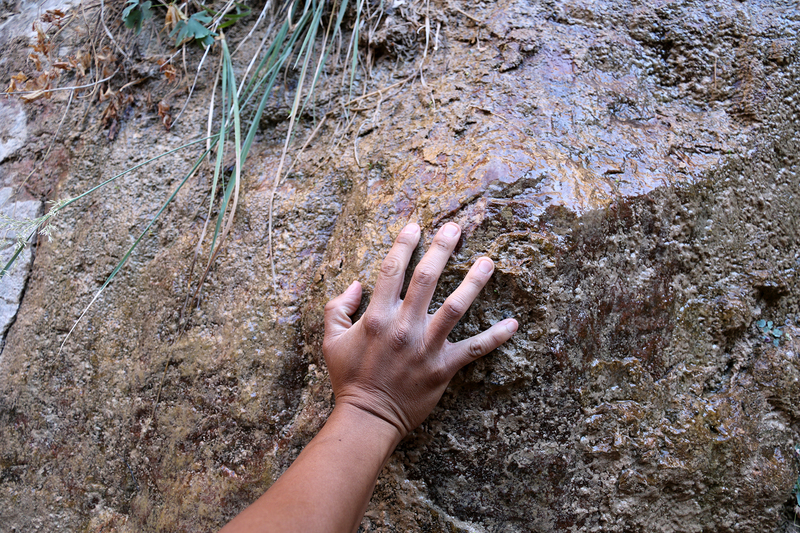 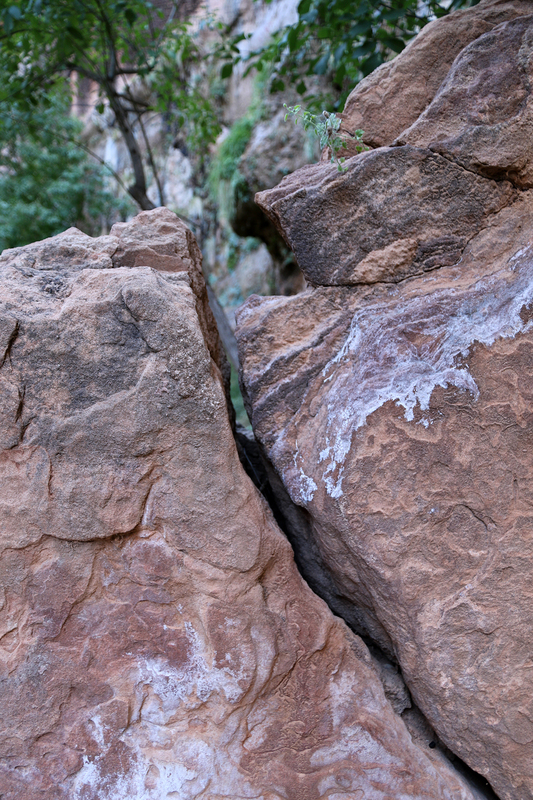 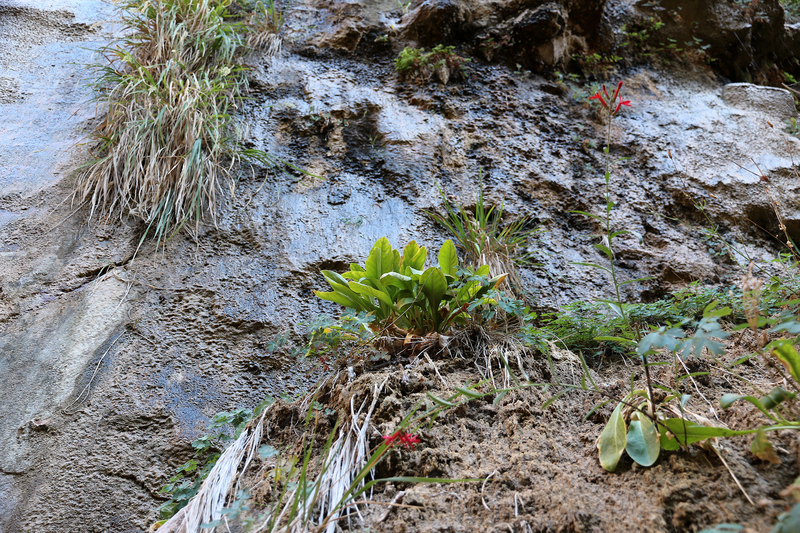 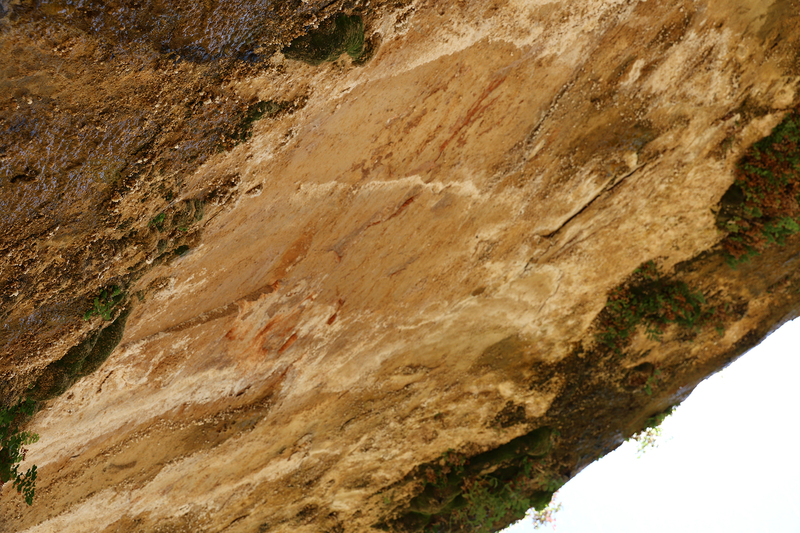 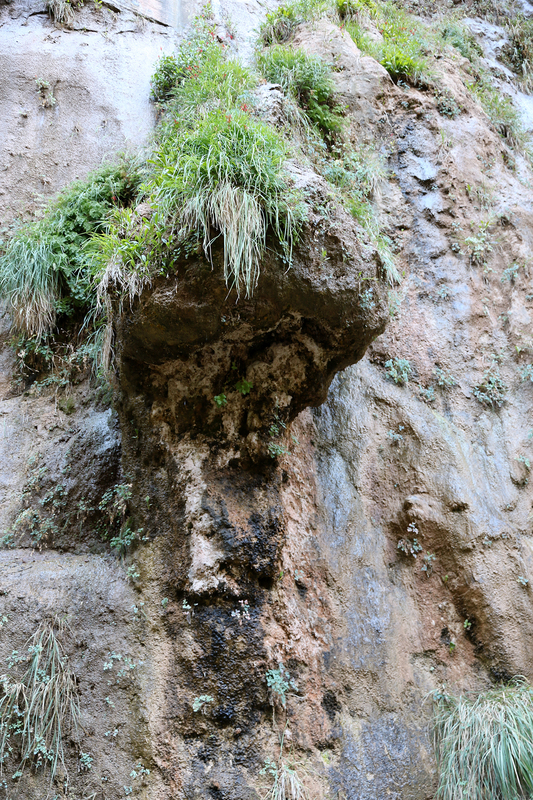 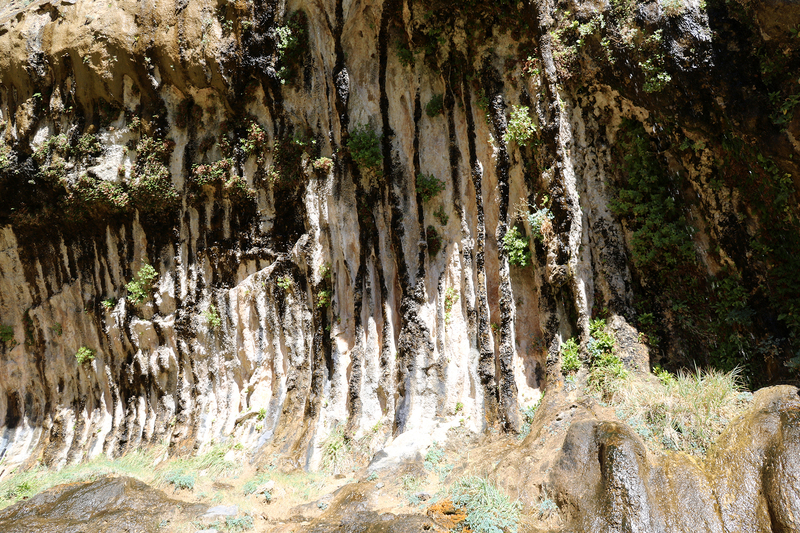 The cliff face below the seep was streaked with mineral deposits from centuries of slowly flowing water. 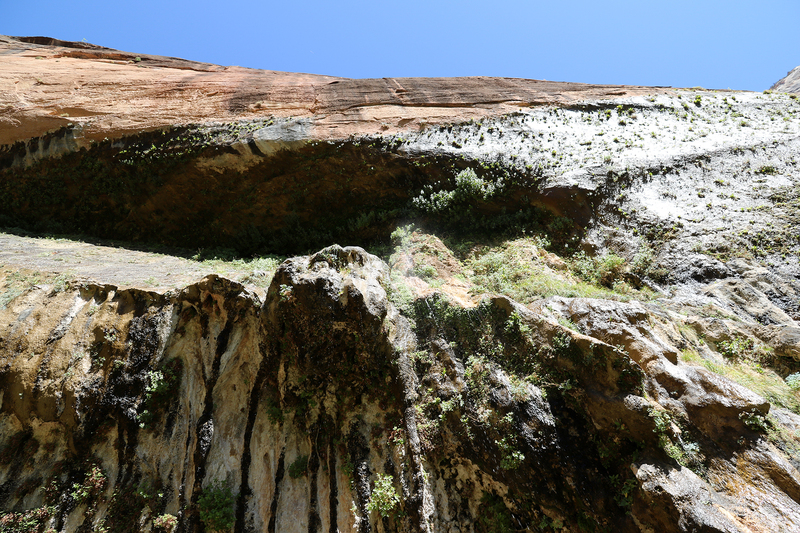 The seep is caused by groundwater on the canyon rim slowly seeping through the Navajo Sandstone until it hits an impermeable layer. 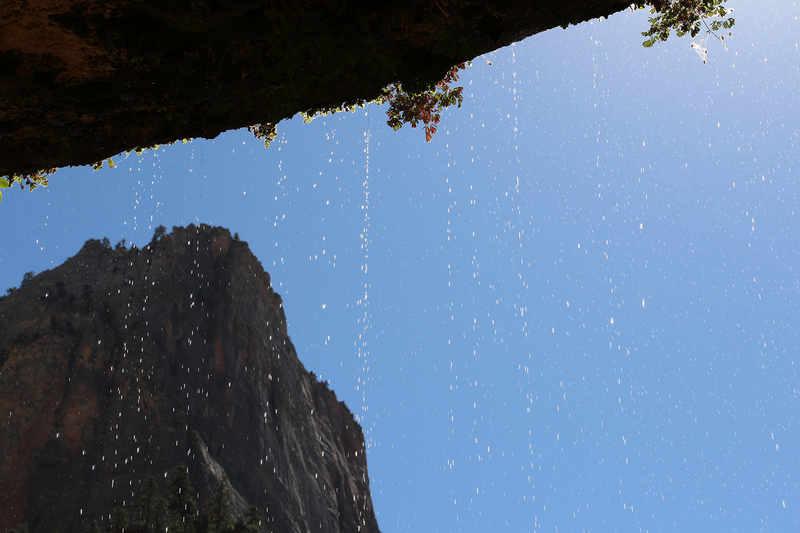 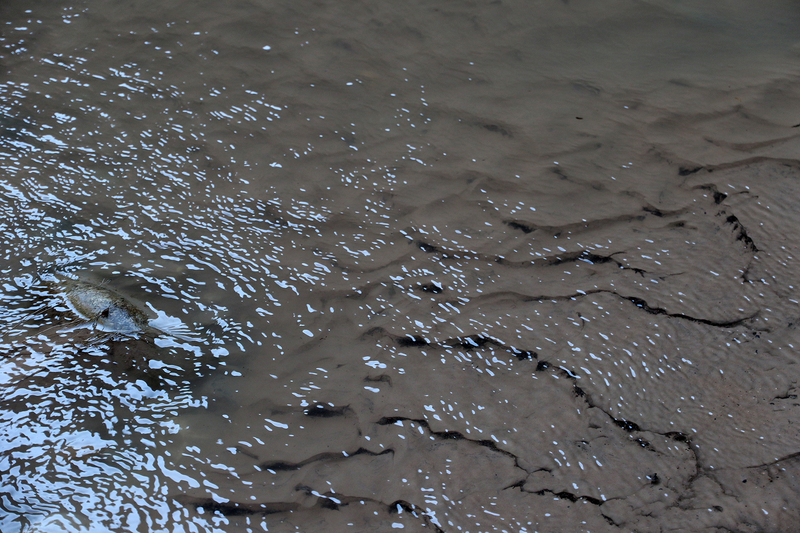 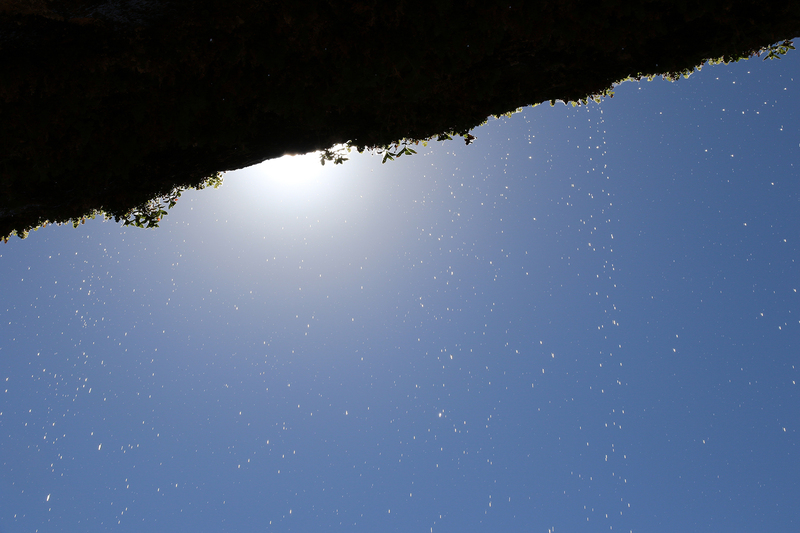 At that point, the water moves sideways until it reaches the cliff face and emerges as a seep. 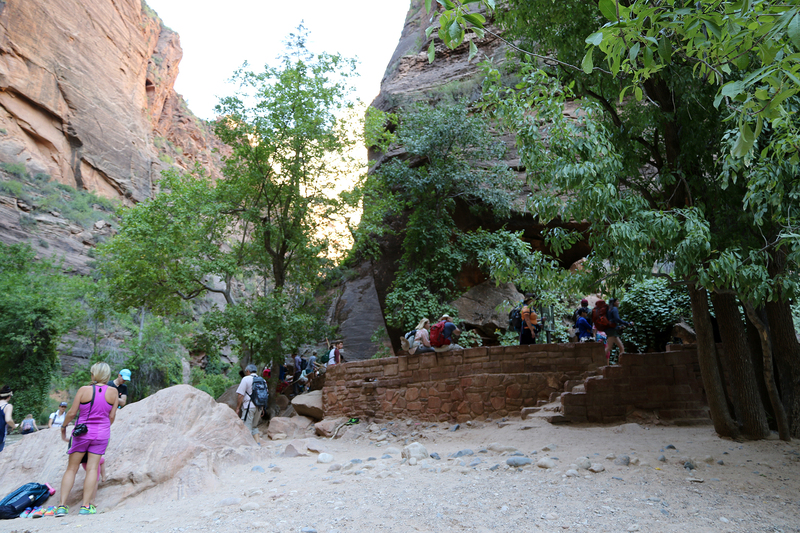 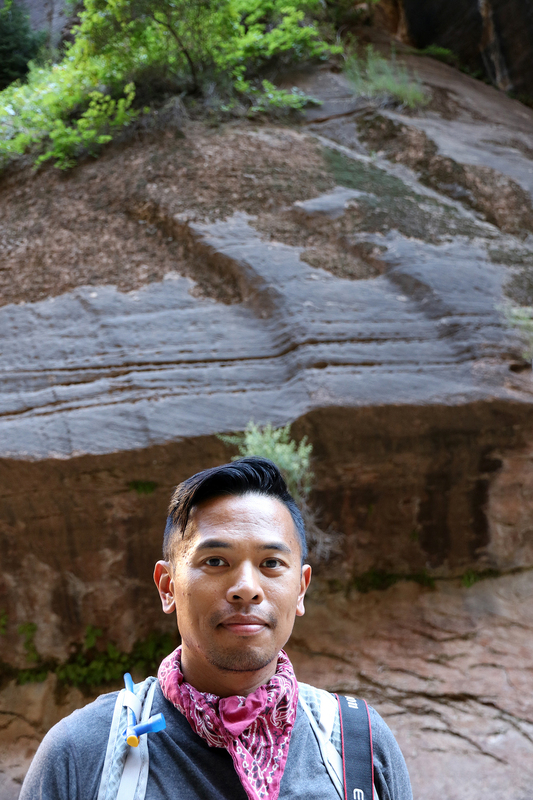 The Weeping Rock shuttle stop was also the trailhead for Observation Point, high above the canyon floor. 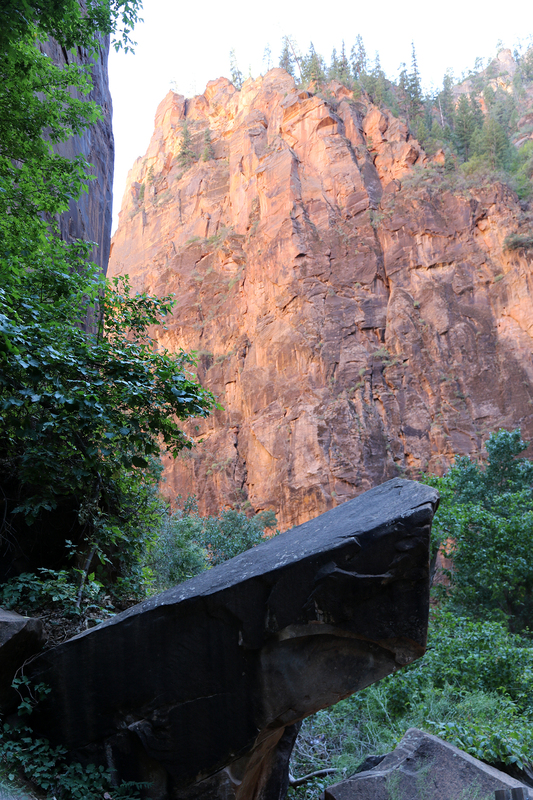 We watched some hardy hikers begin their ascent, but we were ready to continue on to the Temple of Sinawava. 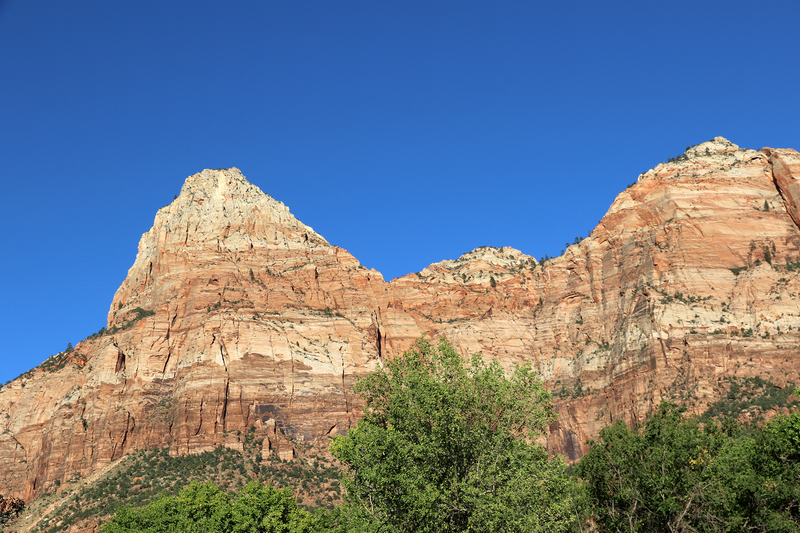 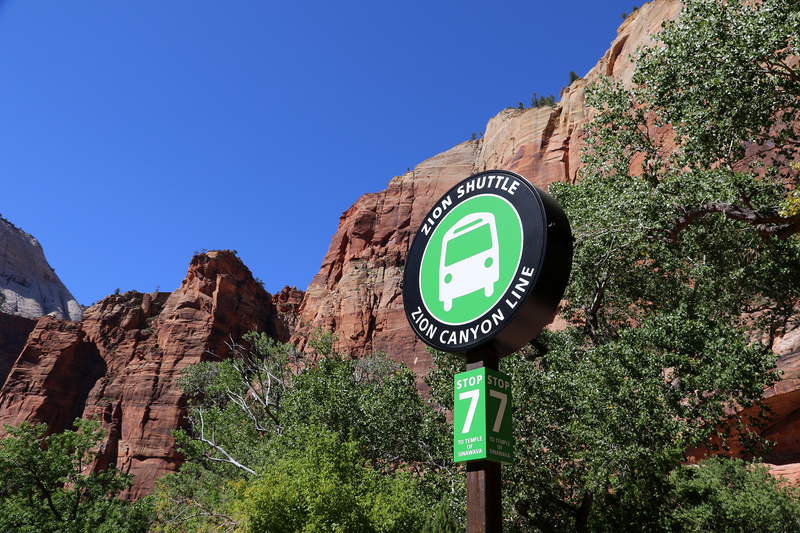 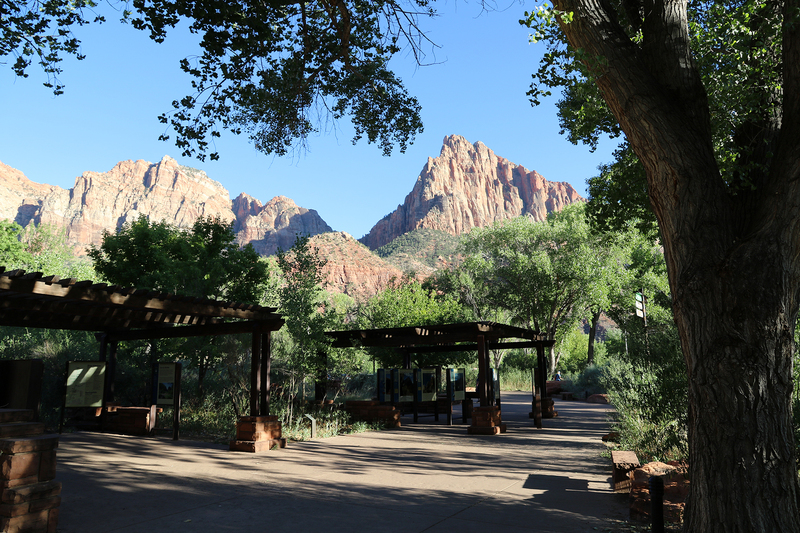 The Temple of Sinawava shuttle stop is the northern terminus of the Zion shuttle. 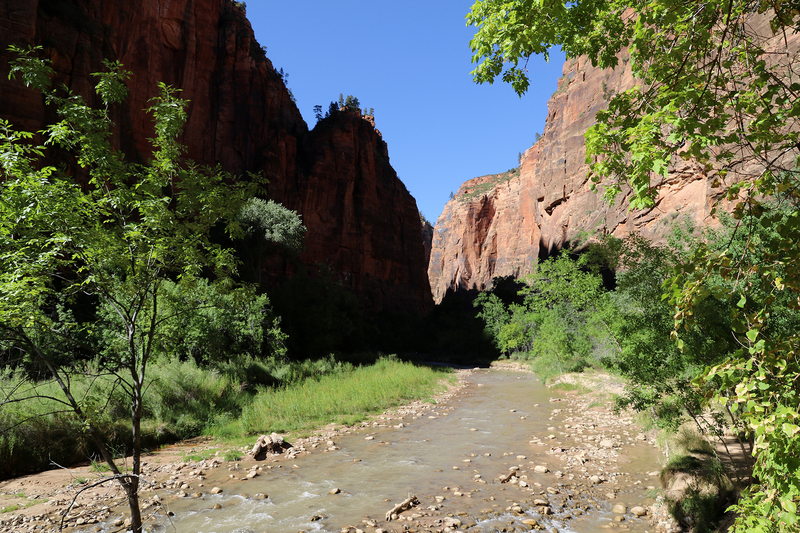 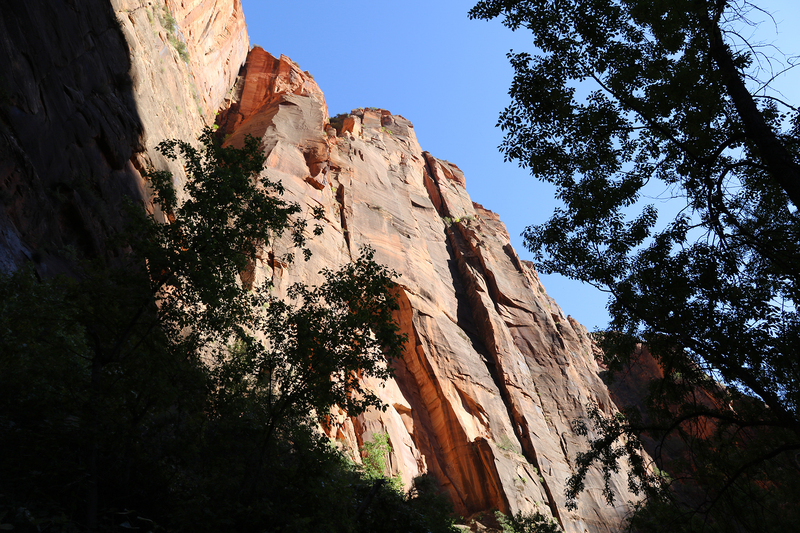 It is here that the northern section of Zion Canyon begins to close in until it becomes the sheer cliffs rising from the river of the Zion Narrows. 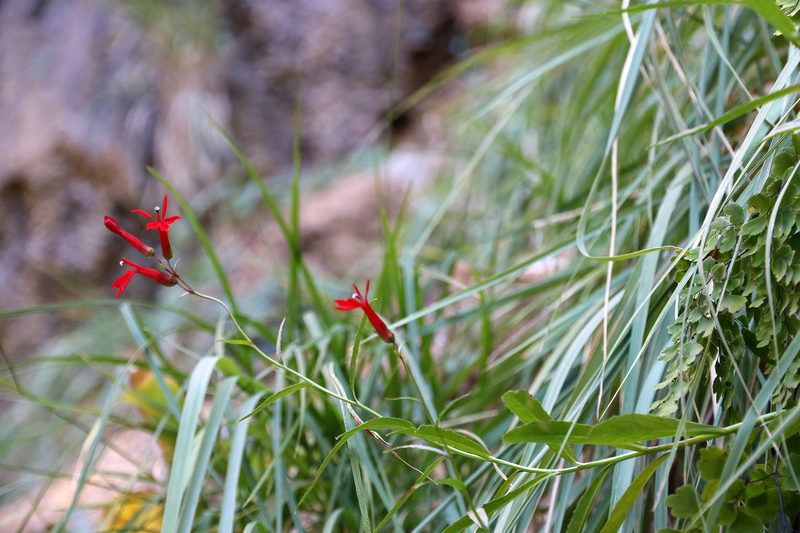 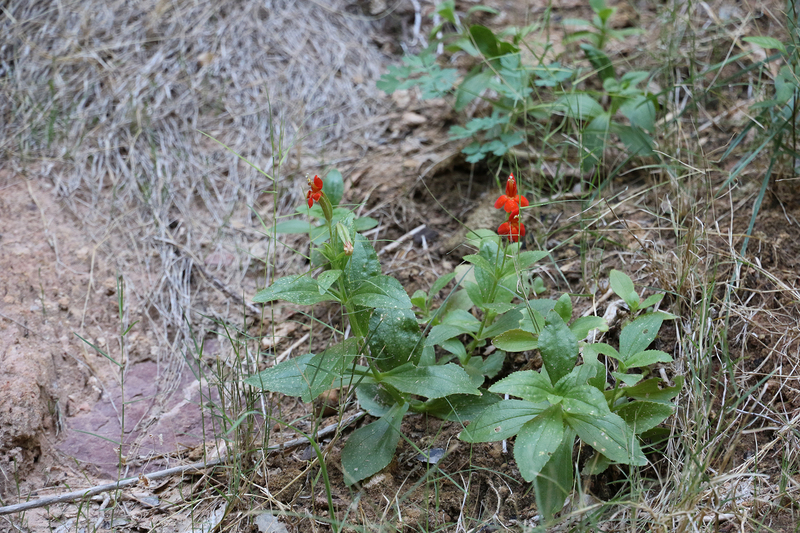 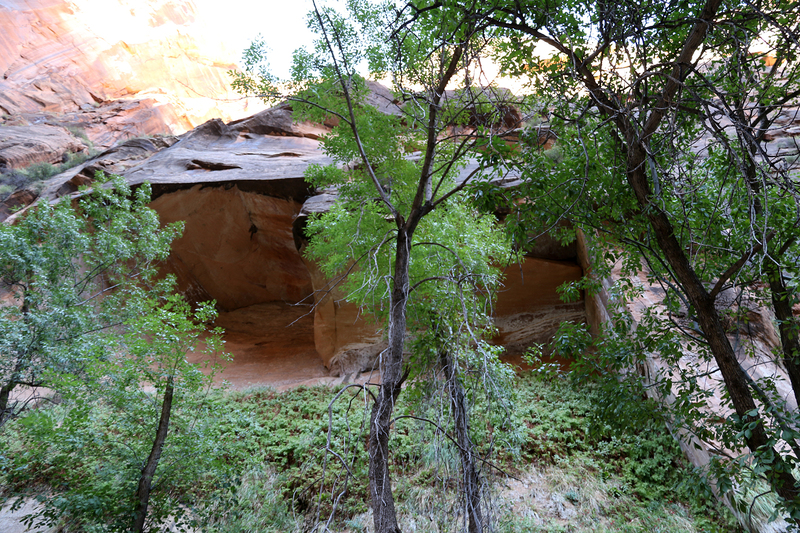 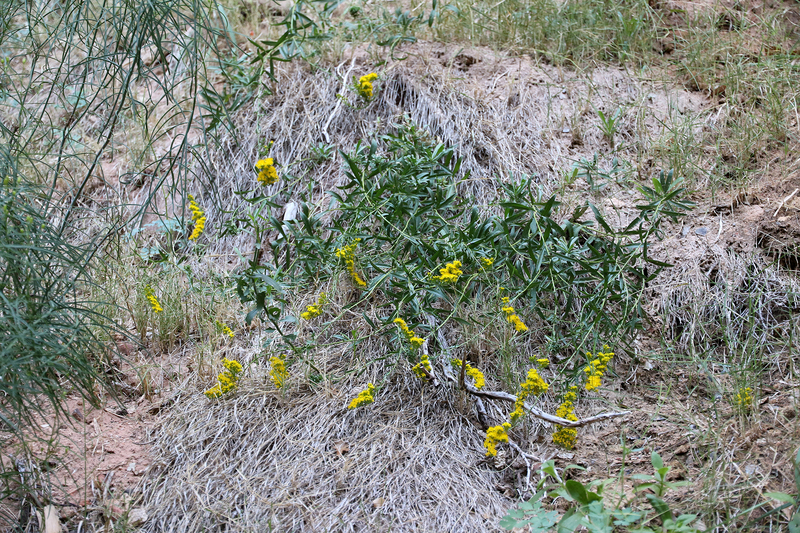 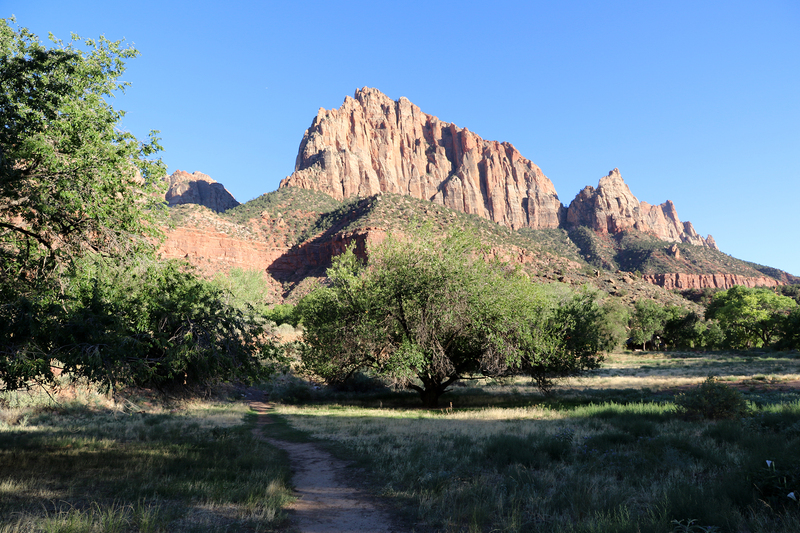 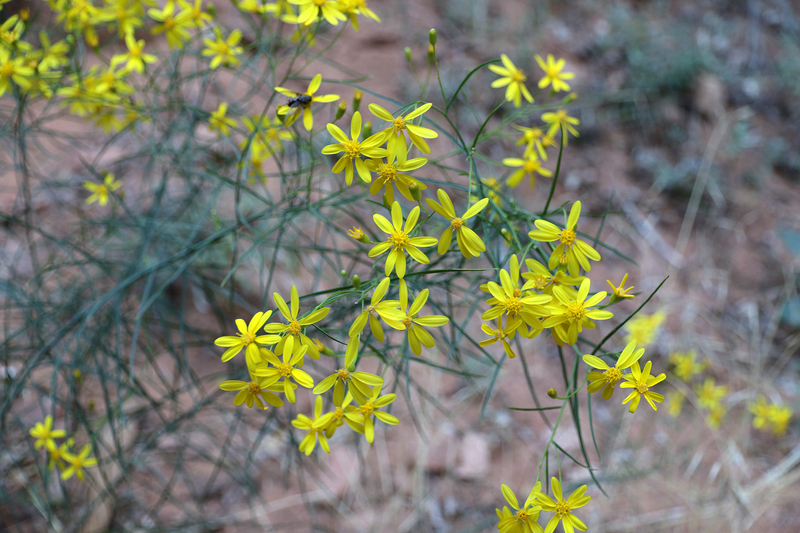 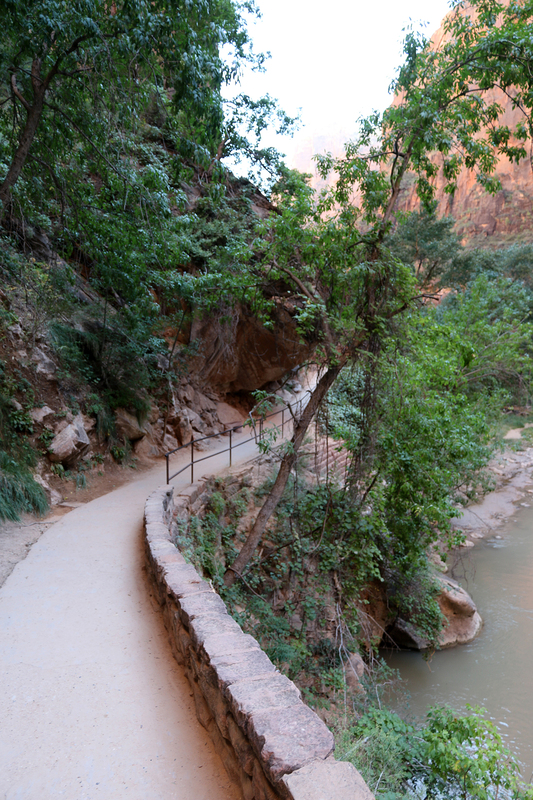 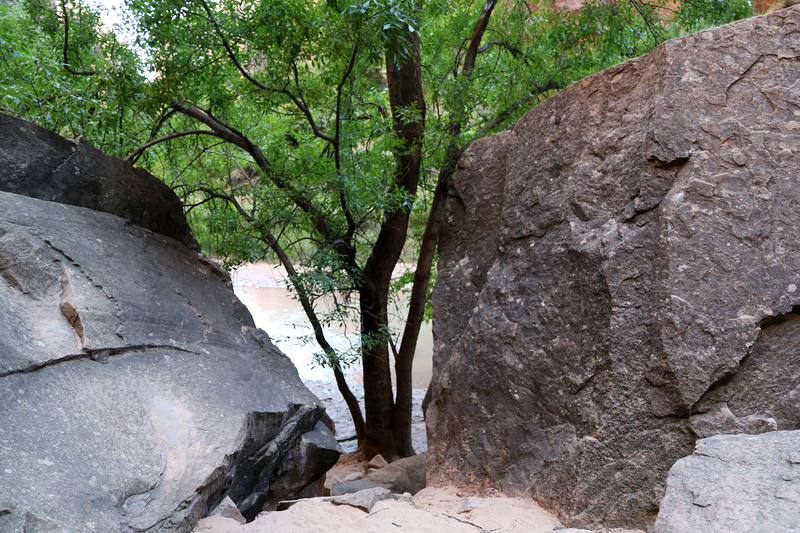 Riverside Walk is a one-mile paved trail leading up the right (eastern) bank of the Virgin River until it ends at the bottom of the Narrows well below Orderville Canyon. 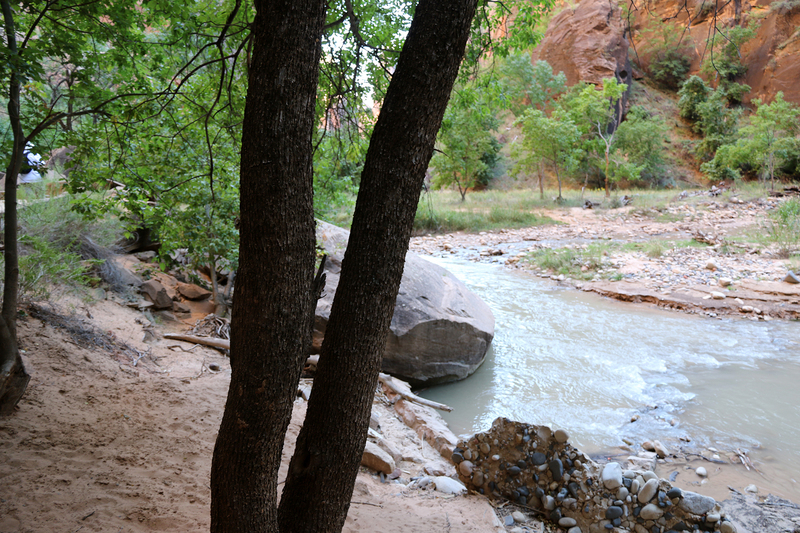 The trail provides access to the start of the Narrows. 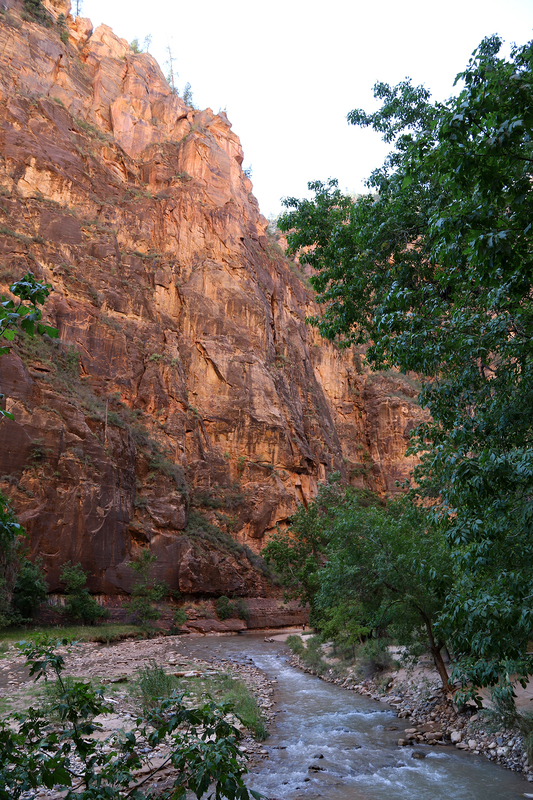 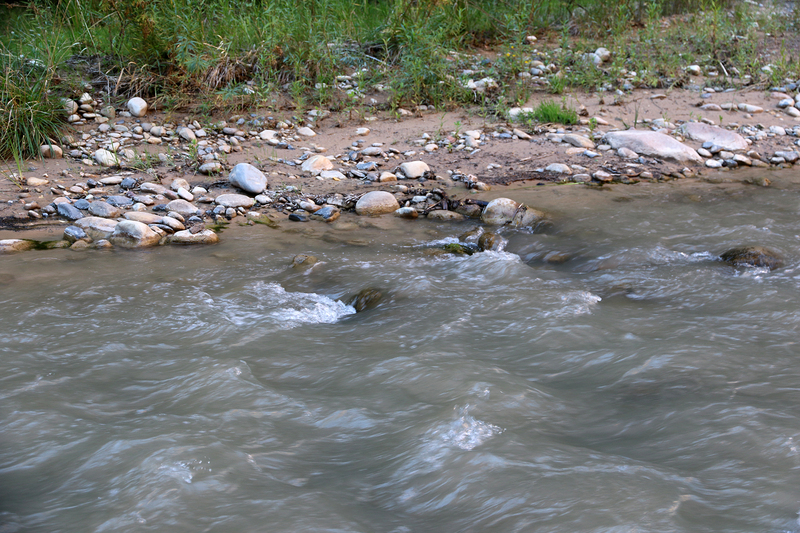 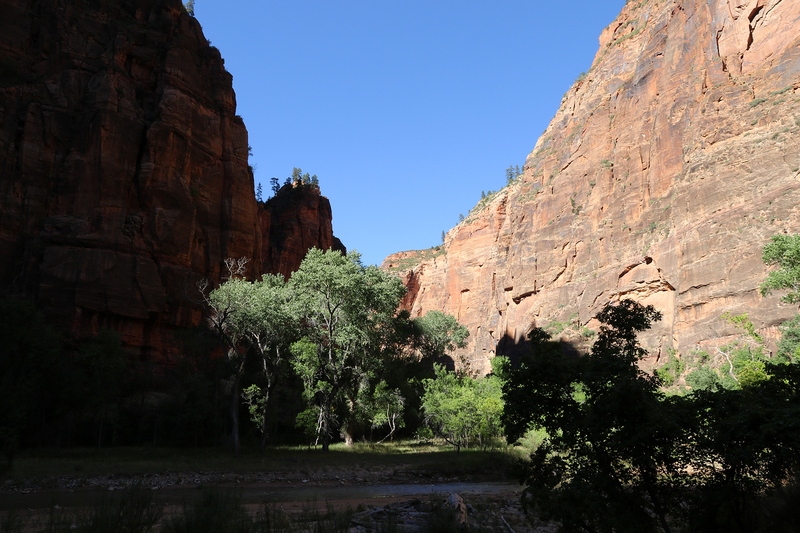 Those who want to continue up the canyon need to wade in the Virgin River. 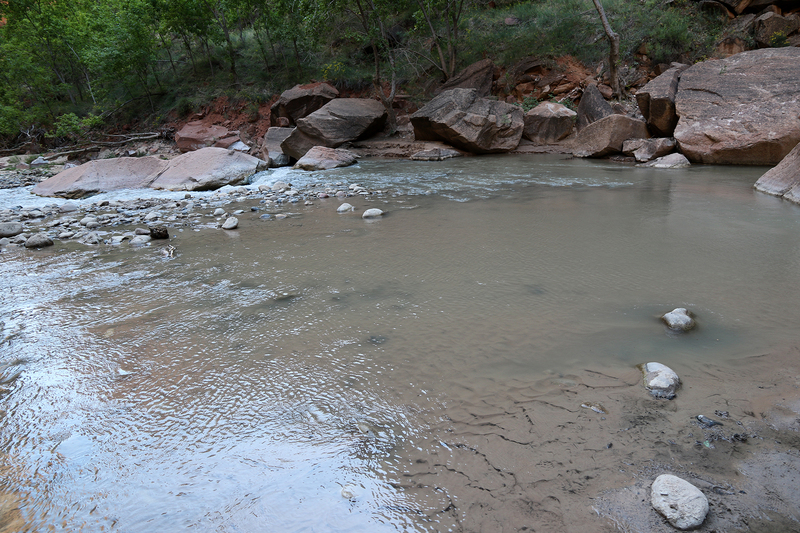 Our plan was not to wade the river, but at least to go and check out what it was like. 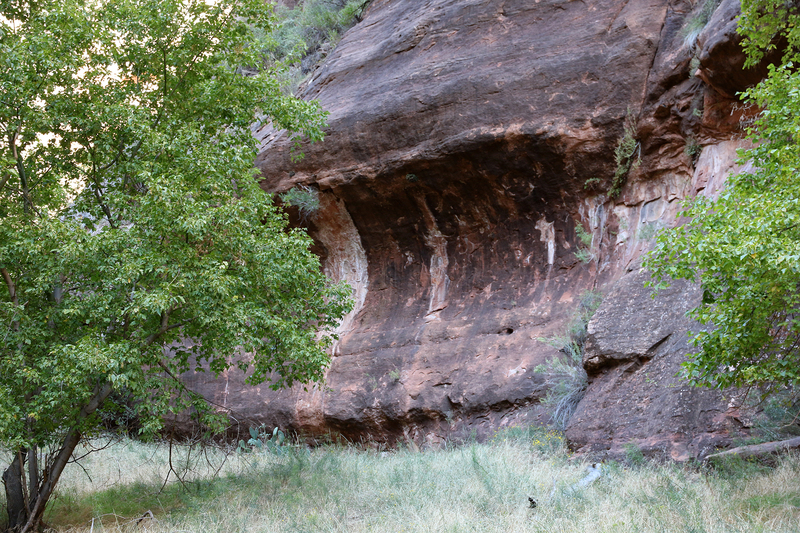 The open, amphitheater-like space of the Temple of Sinawava proper boasts a broad, sandy riverbank, which was cool in the shade of the canyon walls. 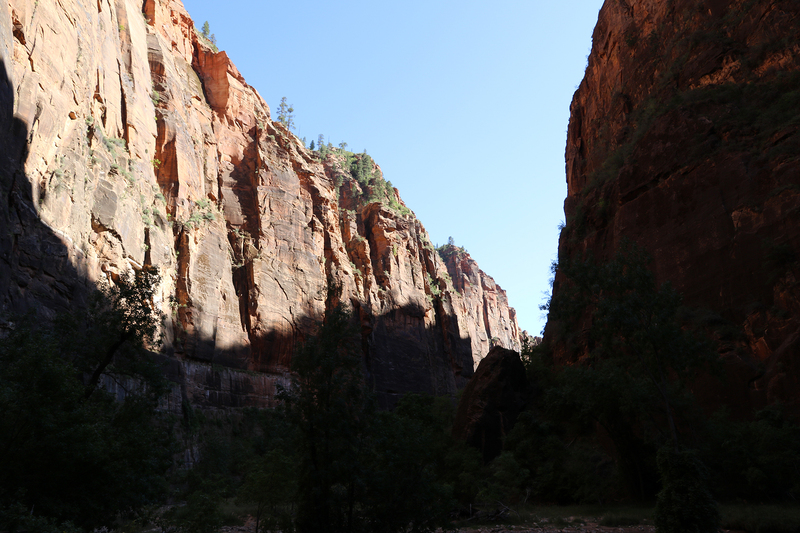 It was not yet 4pm, but direct sunlight was long gone from the canyon floor. 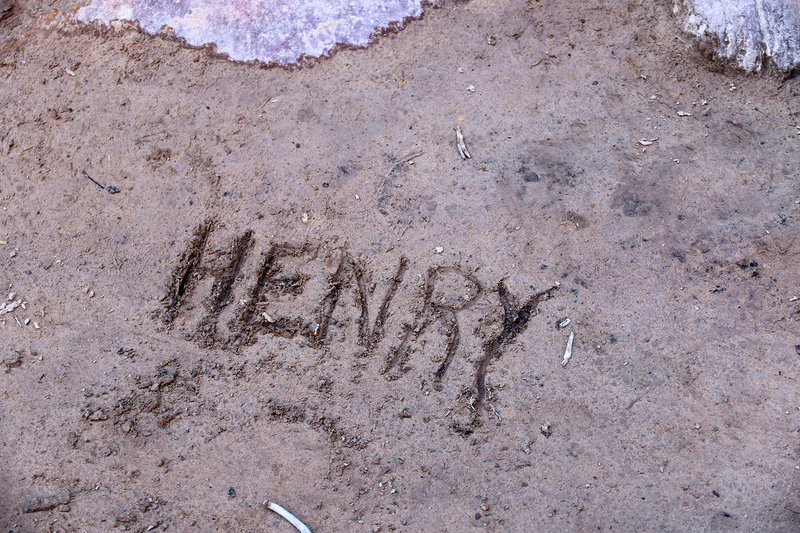 Sean wrote our cat’s name in the sand of the riverbank. 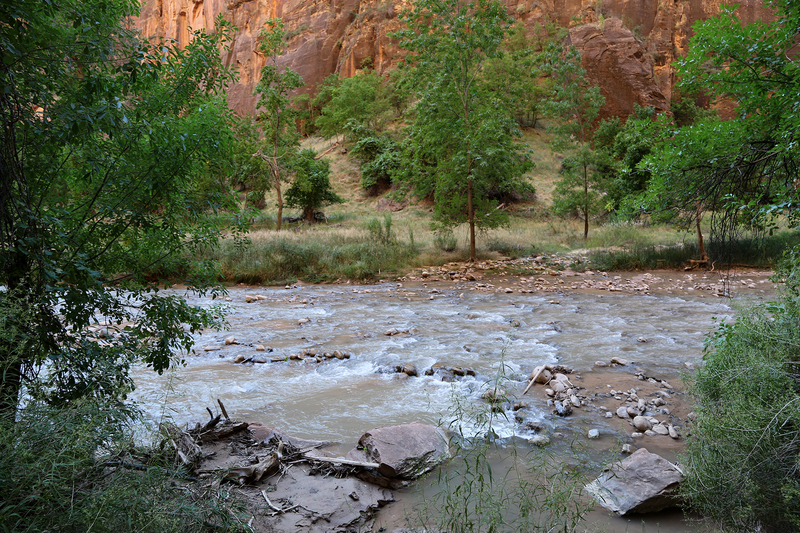 We started the walk along the river along with dozens and dozens (and dozens) of other visitors. 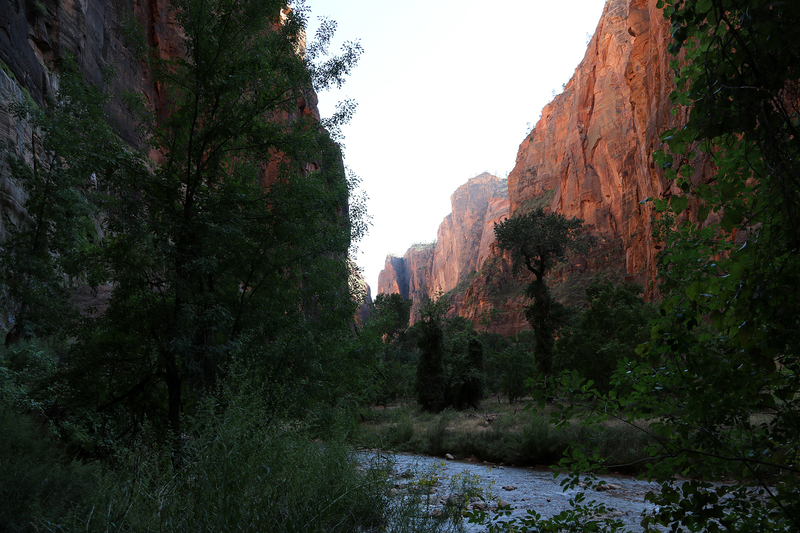 In terms of other people, Riverside Walk was easily the worst hike we’ve had in the National Parks. 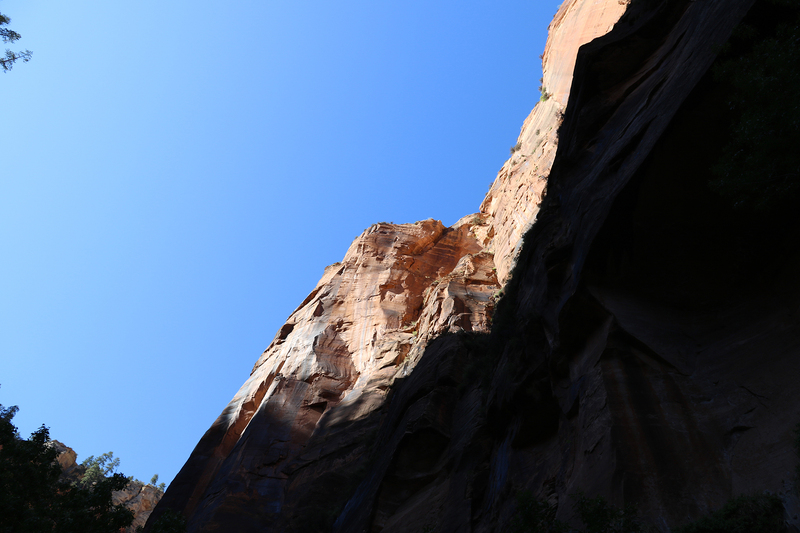 Even on a Wednesday after Labor Day, it was so crowded that it felt at times like we were on a conveyor belt of humanity. 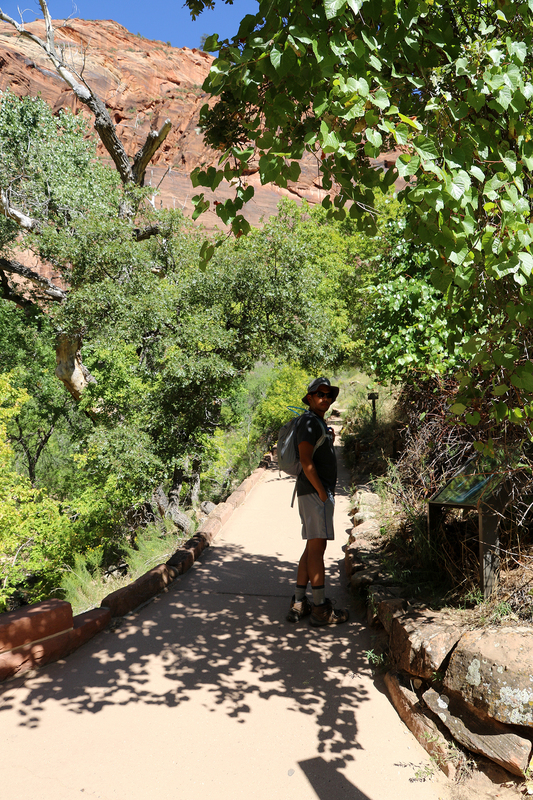 In order to stop and compose a photo, I had to step up onto the trail’s cement curb to get out of the way of the people behind us. 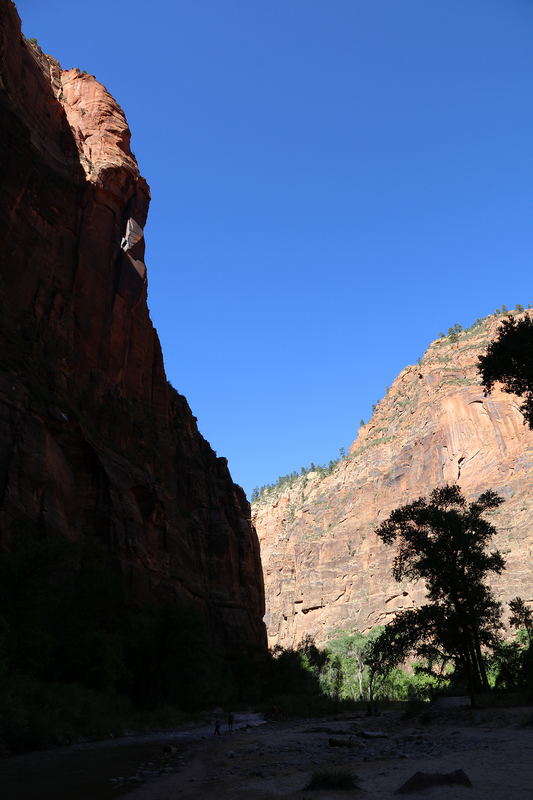 I cannot imagine what it must be like on a holiday weekend in the summer. 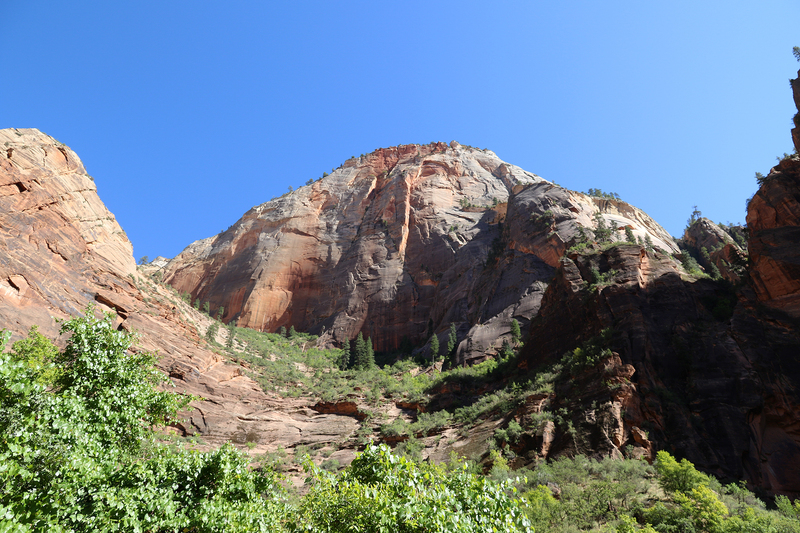 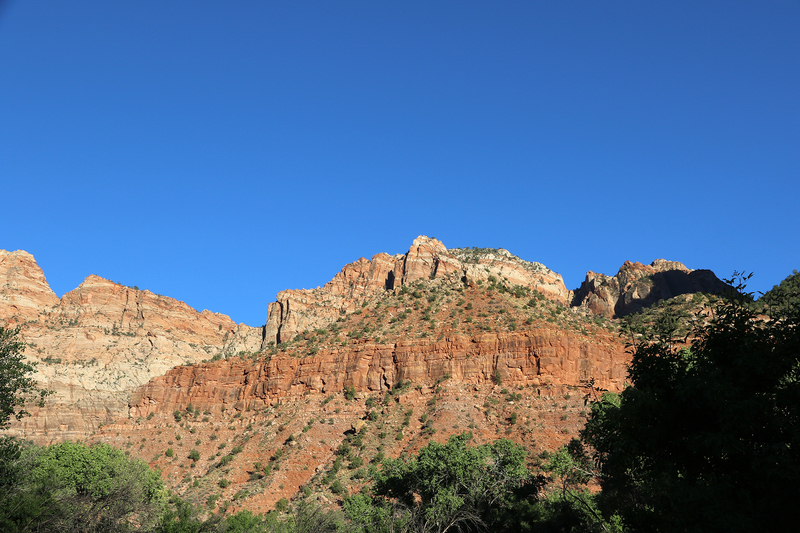 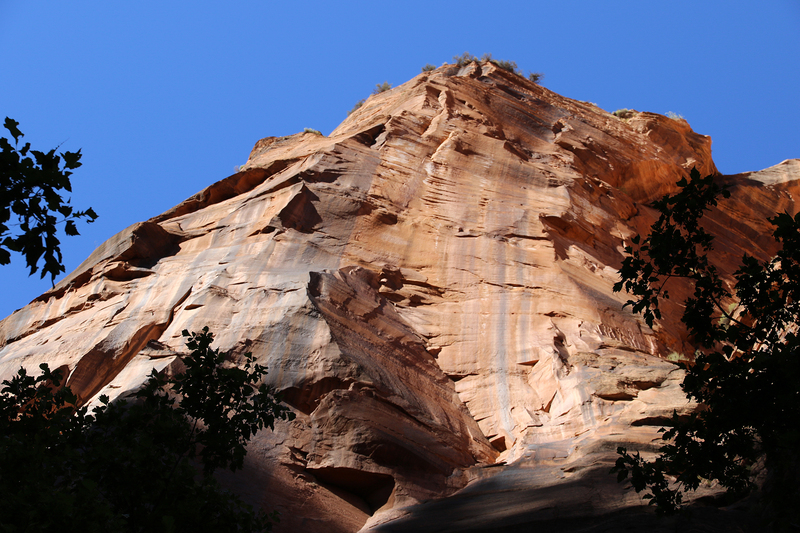 That said, it was also an immensely scenic hike, and I’d still recommend it to anyone visiting Zion National Park. 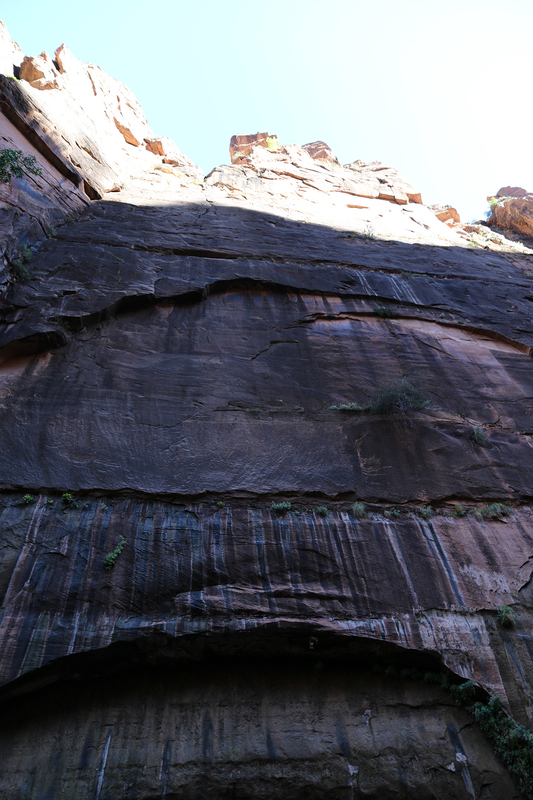 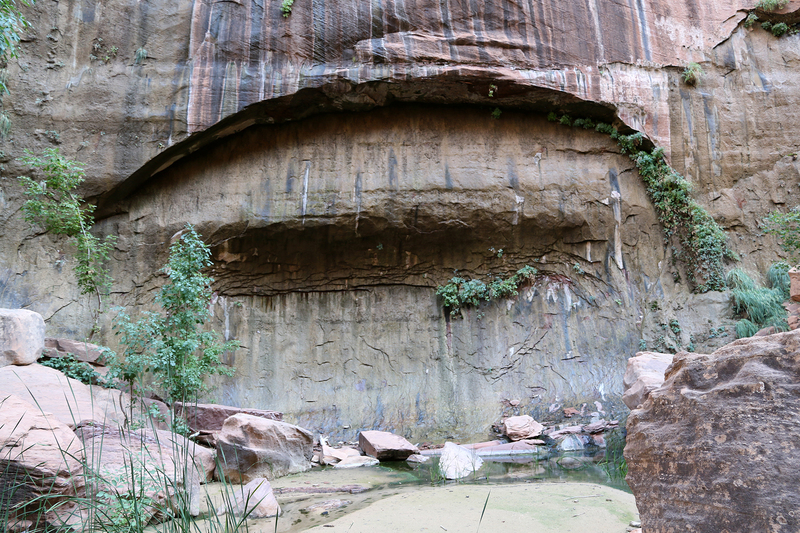 The sheer power of the river to carve Zion Canyon is astounding, as evidenced below in the smooth curve rushing water carved dozens of feet high in the cliff face. 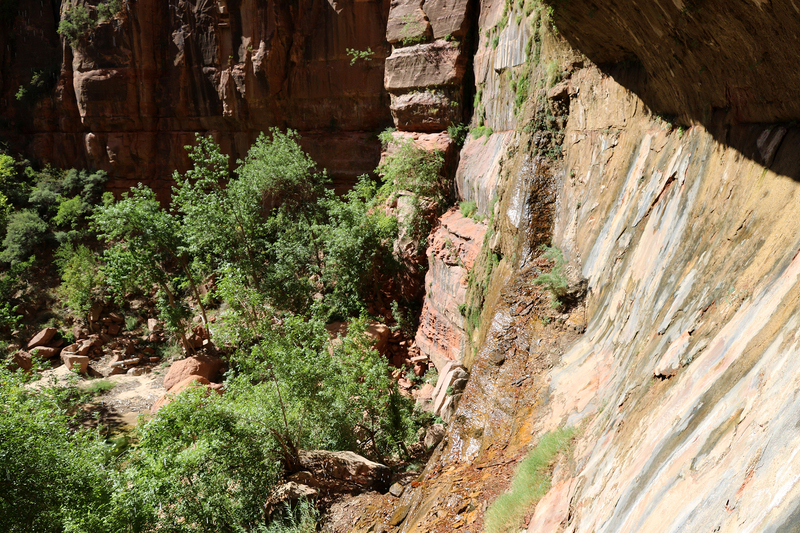 The necessity of trail repairs was also testament to the power of the Virgin River in flood and why the Narrows upstream can be so immensely dangerous. 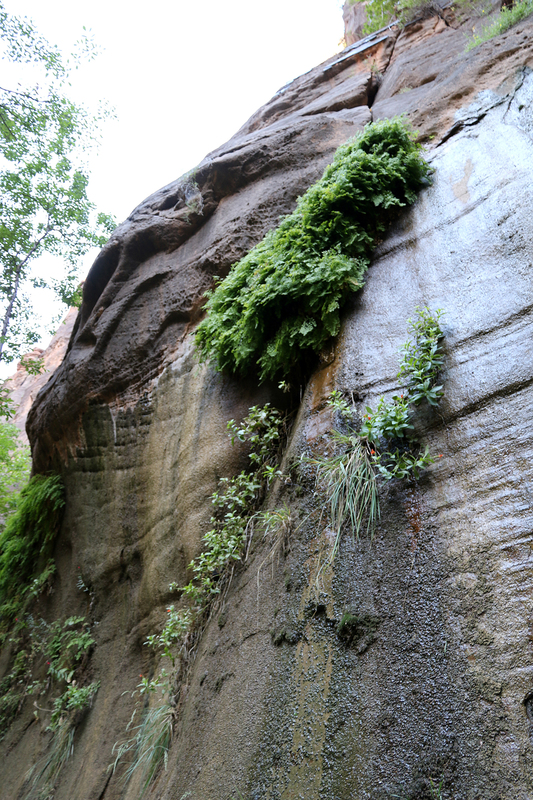 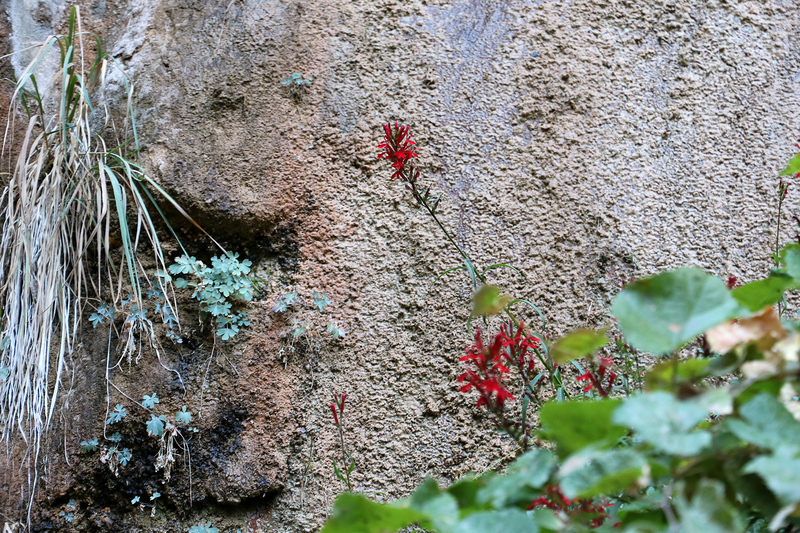 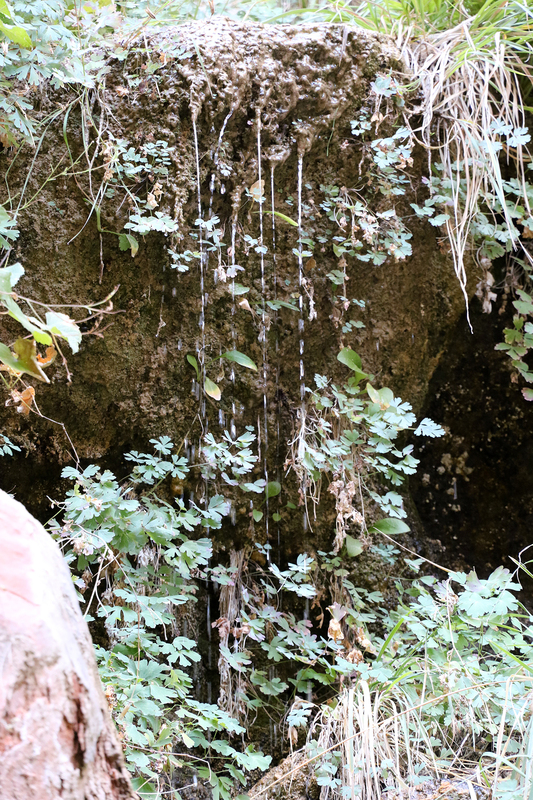 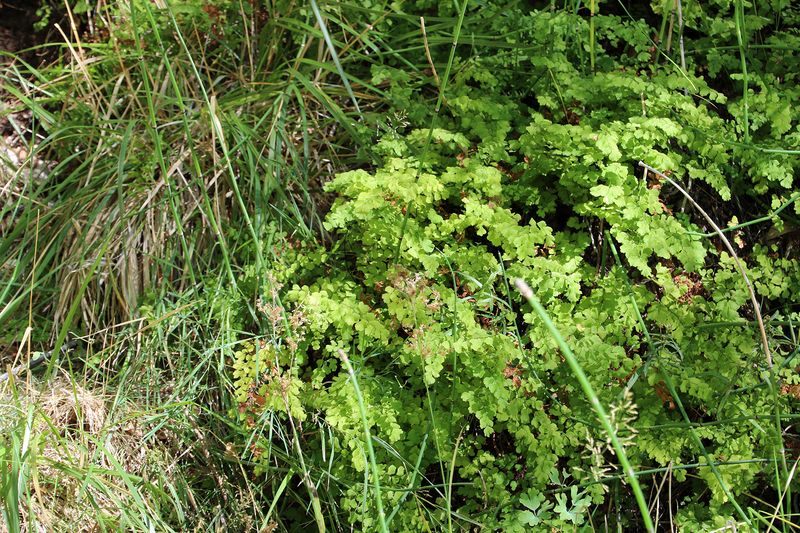 The riparian zone along the river extends well up the canyon walls as multiple seeps create hanging gardens all along the trail. 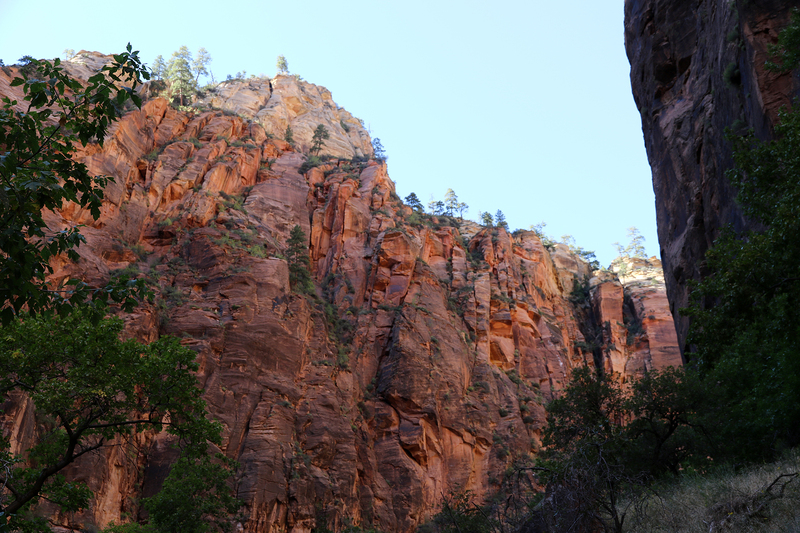 Save for feeding the Rock Squirrels (which were noticeably fat), the visitors on the trail were relatively well behaved given there were so many of them. 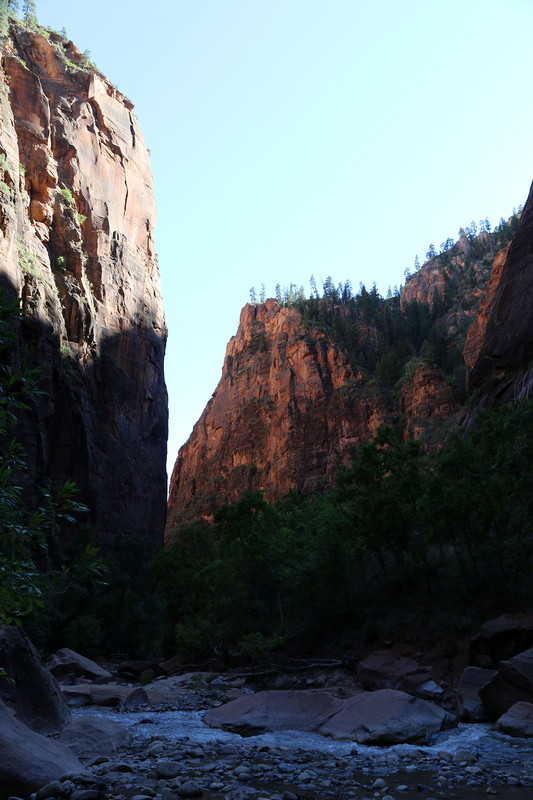 Then suddenly the trail ended in a mass of people either stopping and turning back or putting on water shoes to begin the cold, slippery wade up into the Narrows to Orderville Canyon. 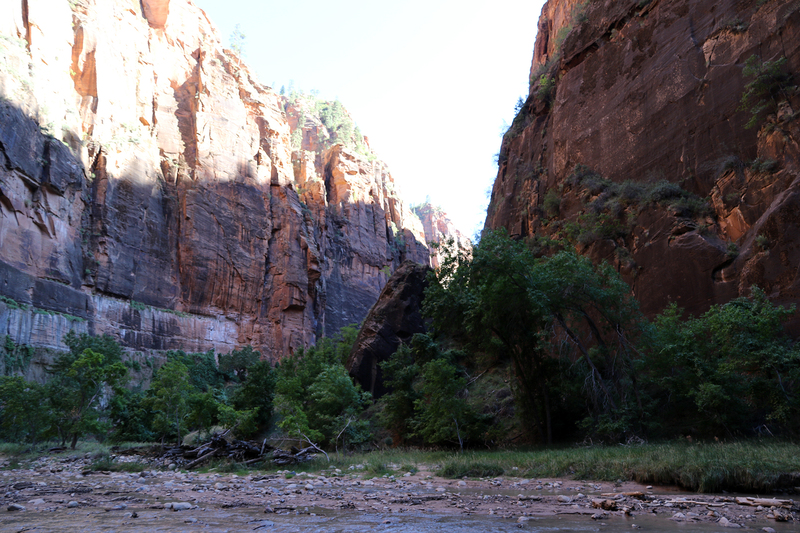 Lacking water shoes or the desire to get wet at that point in the afternoon, we joined those turning back. 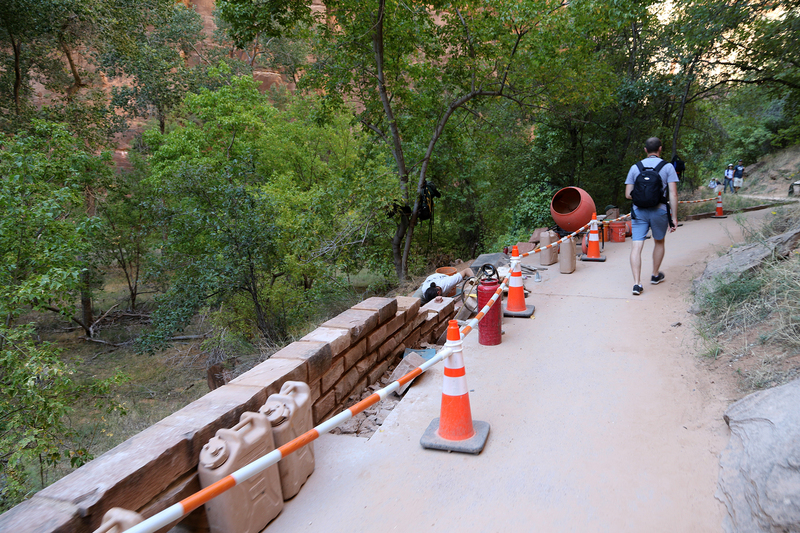 The crush of people was lighter going back down the canyon, and we were able to take our time a little more. 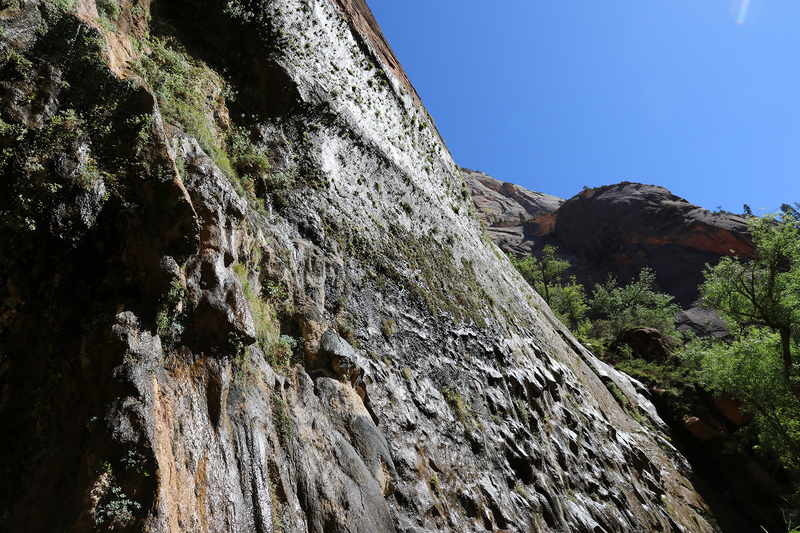 The destabilizing effect of the river on the canyon walls was evident in boulders and even huge chunks of wall that had fallen. 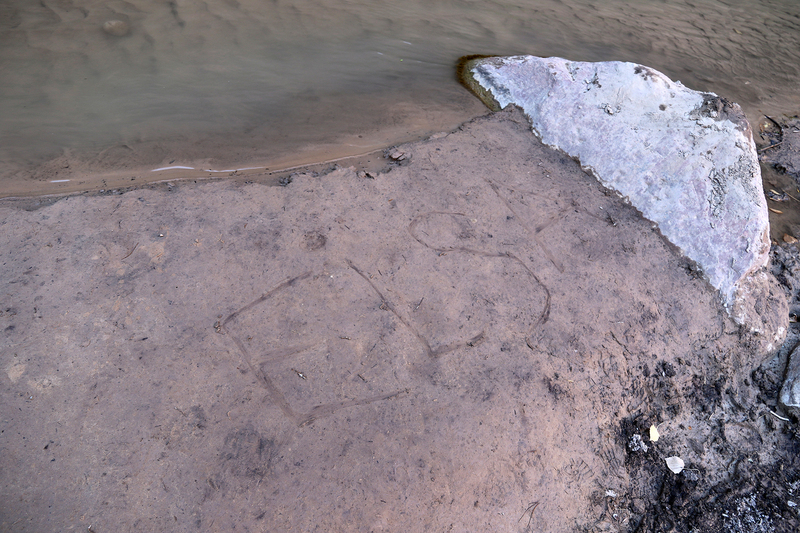 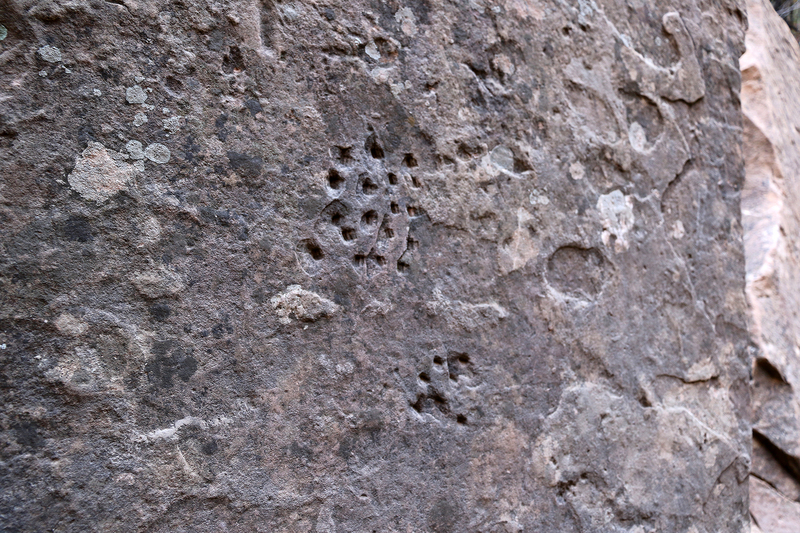 Everywhere there was evidence of fast, violent erosion caused by a flooded river. 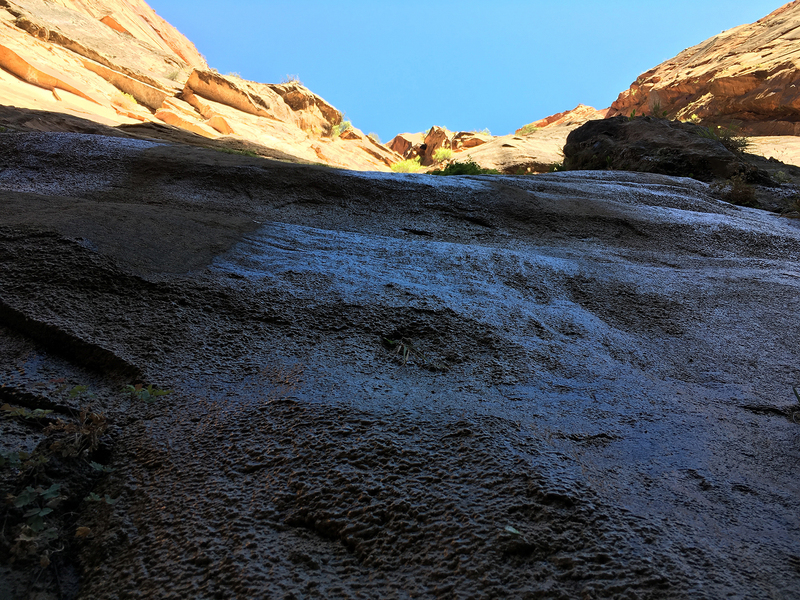 Portions of the trail even ran below massive rocks that were likely candidates to fall sooner rather than later (in geologic terms). 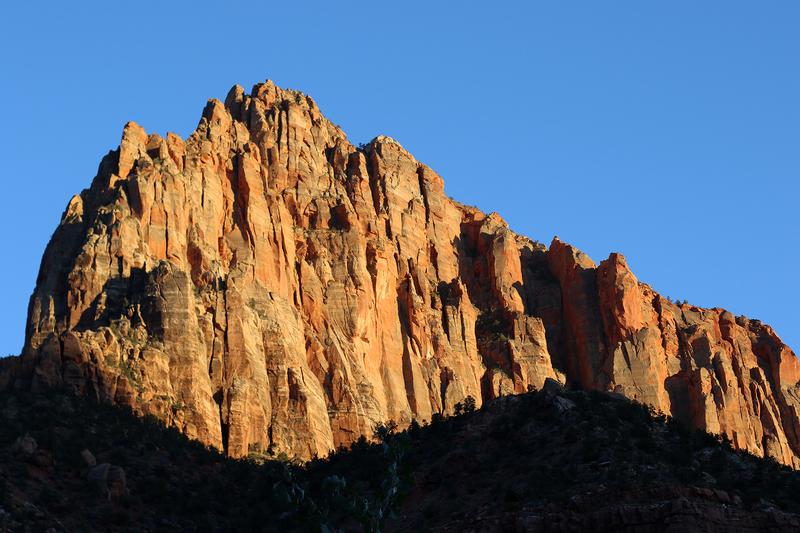 Back at the shuttle stop, we had a nice vantage point for observing late afternoon light on the major features of the upper portion of Zion Canyon including the Great White Throne and Angels Landing. 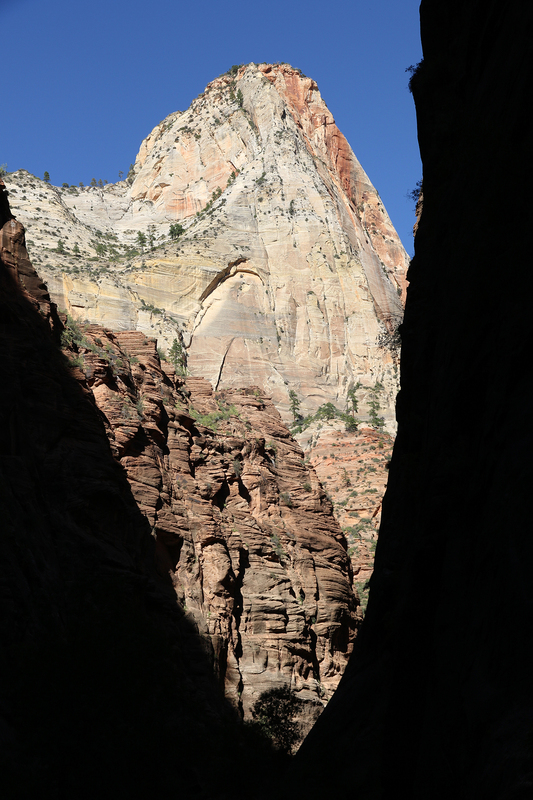 It took about half an hour to get back to the visitor center. 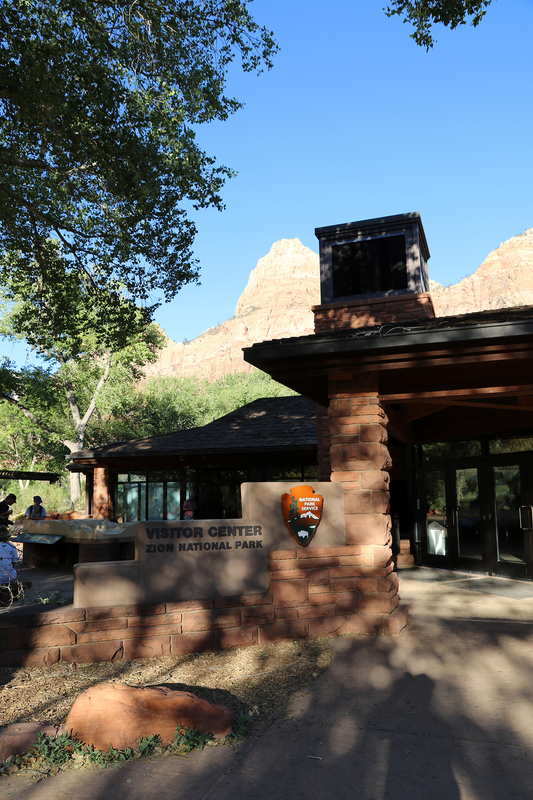 We had a quick look at the exhibits and the bookstore as the rangers and volunteers were getting ready to close for the day. 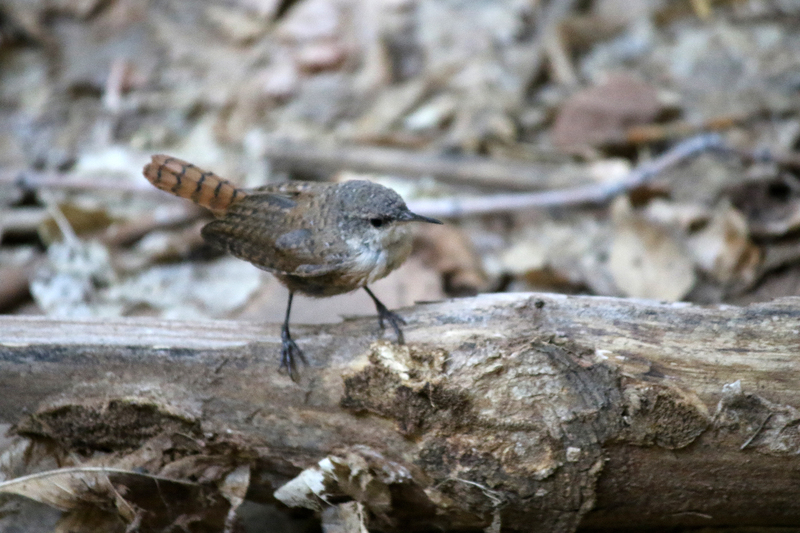 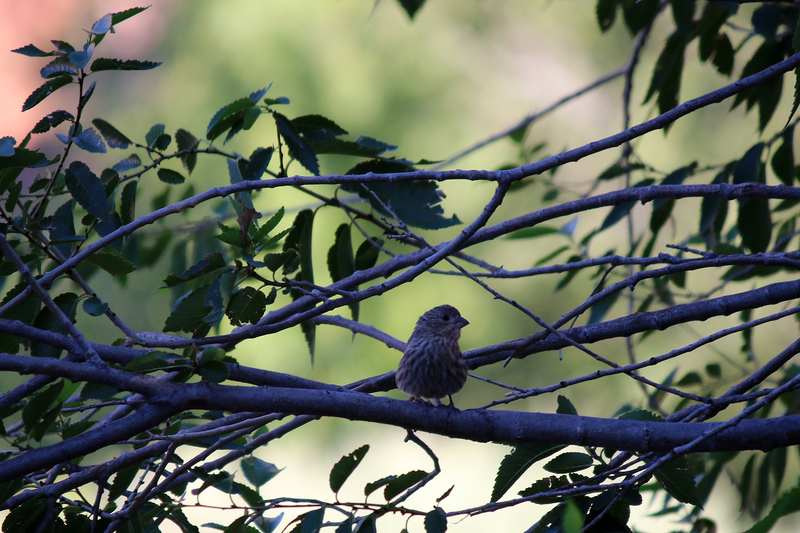 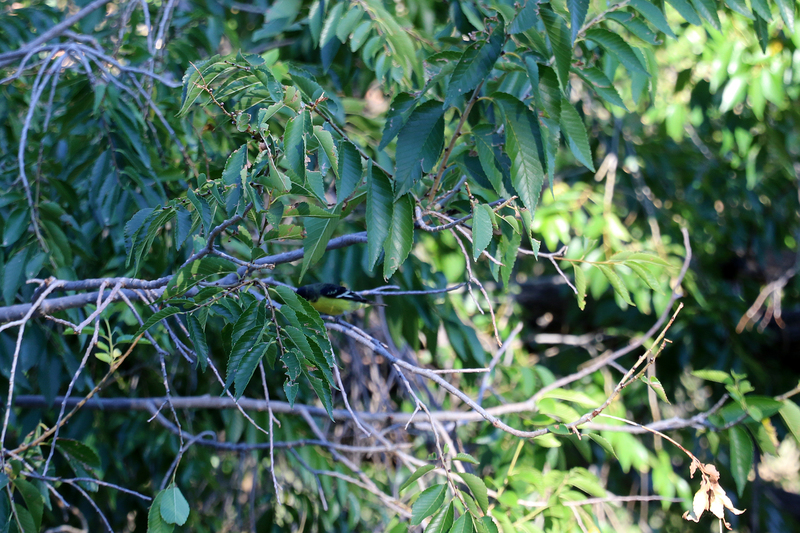 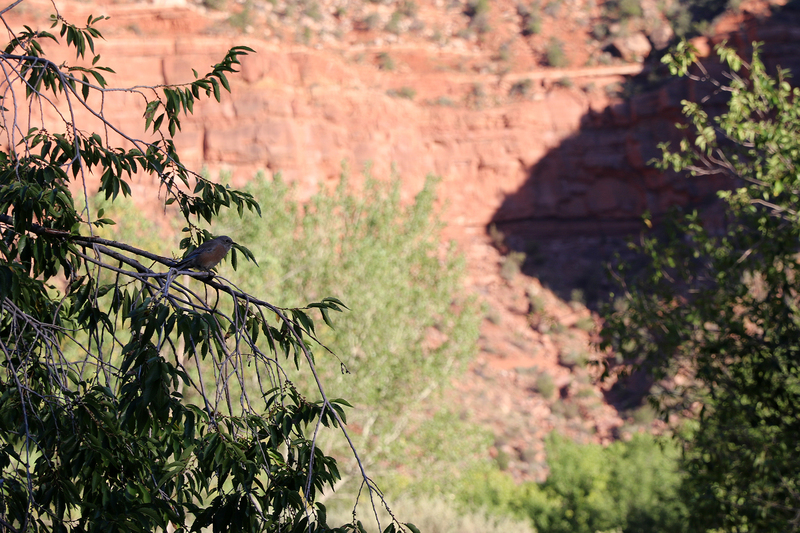 Then we wandered back to our campground through an open grassy area and were rewarded with multiple bird sightings. 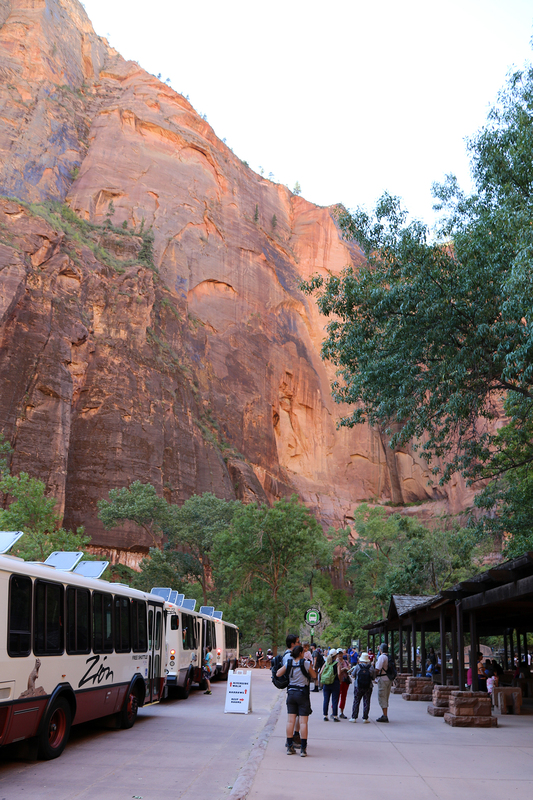 Back in camp beneath the fiery glow of the Watchman, we relaxed and cooked dinner before that evening’s presentation by Ranger Taylor. 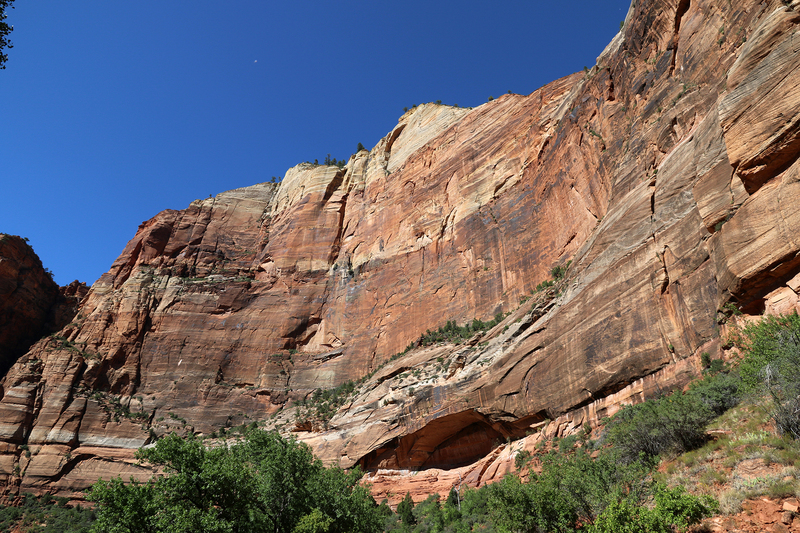 This entry was posted in Journey and tagged Camping, Day Hike, Grand Staircase, Utah, Zion on July 15, 2017 by Brandon Hayes.